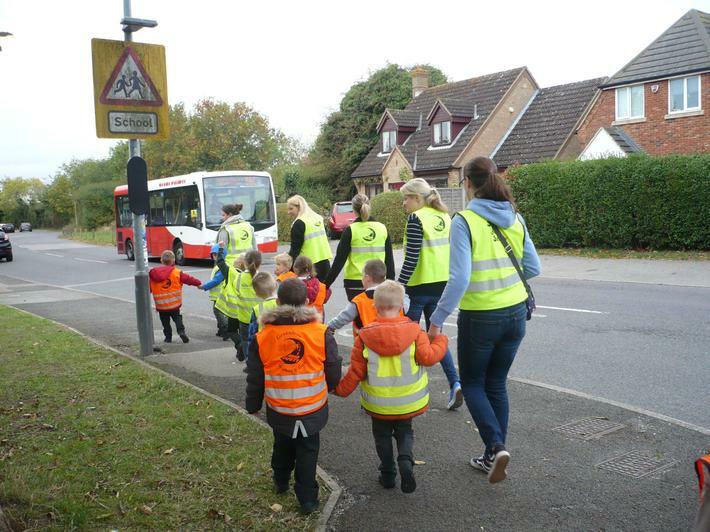 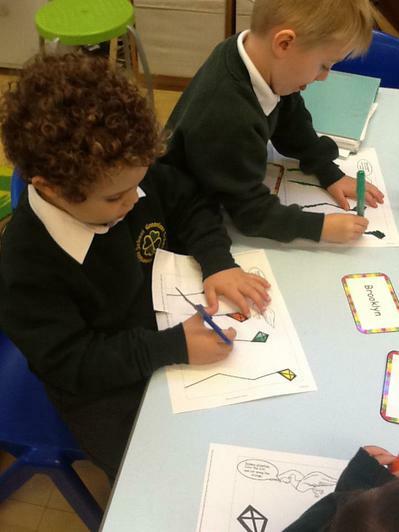 Our topic for the second half of the Spring Term will be People Who Help Us. 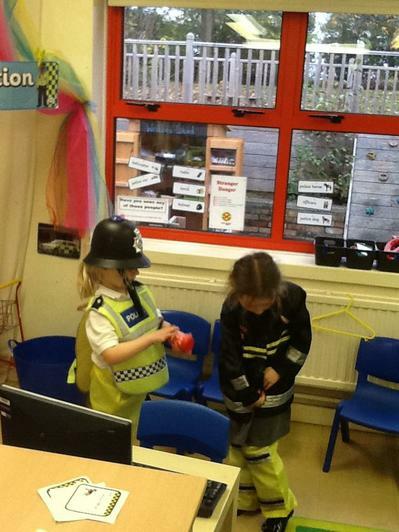 We will be focusing on non-fiction texts that will help us to find out about the different roles within the Emergency Services. 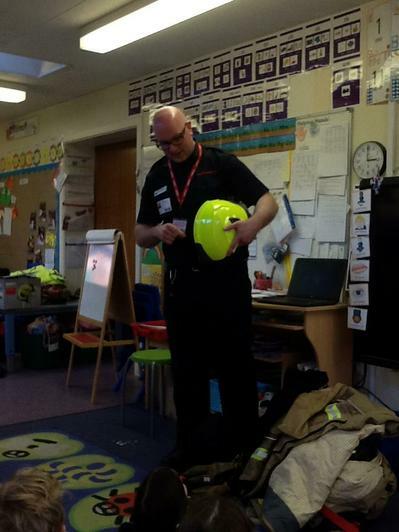 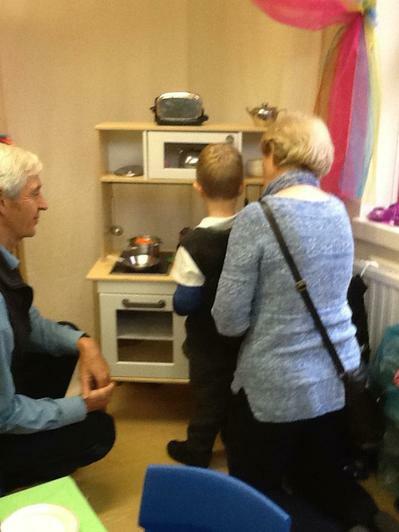 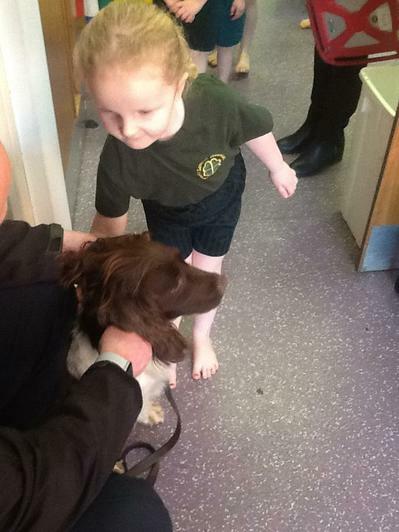 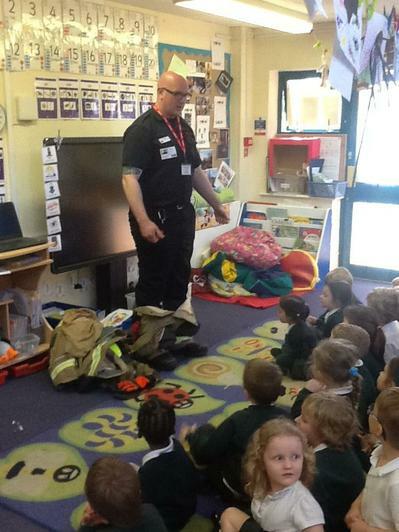 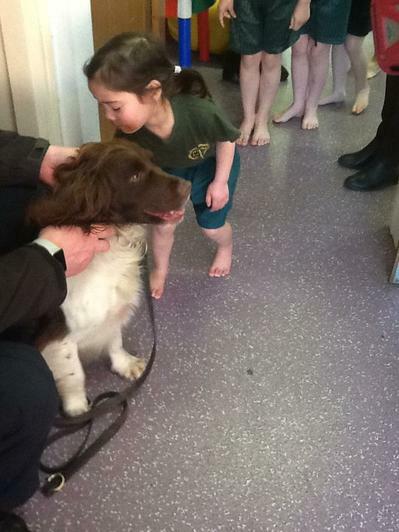 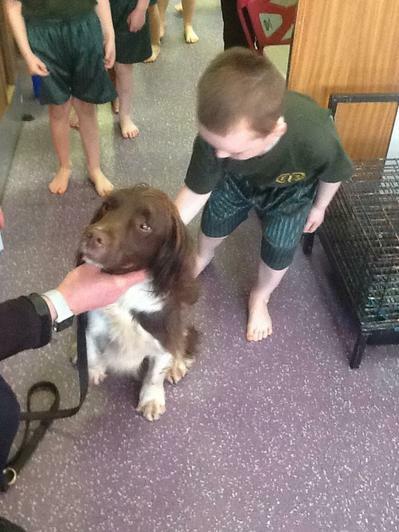 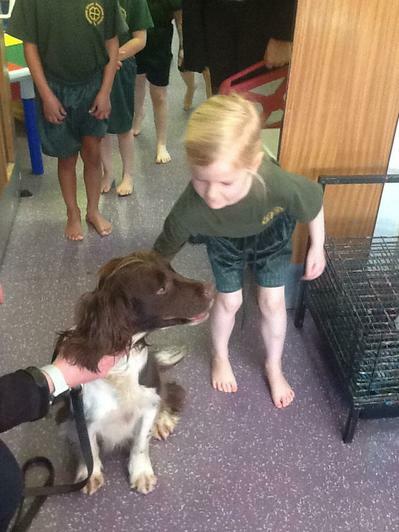 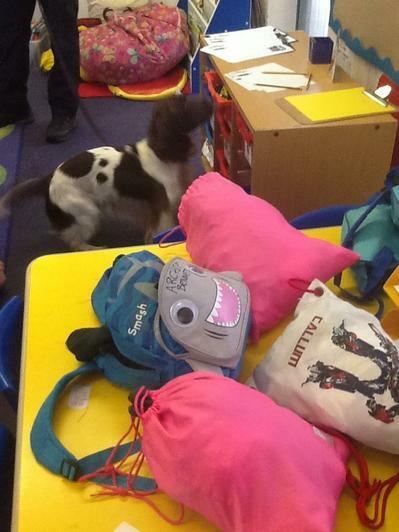 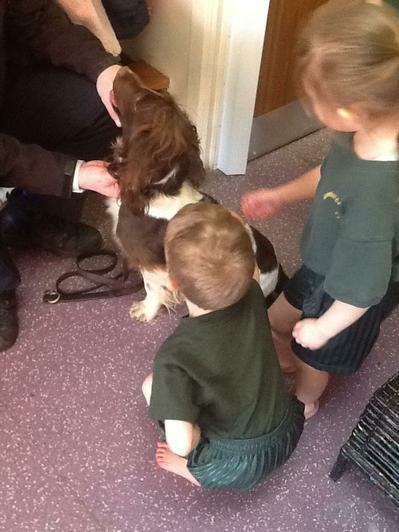 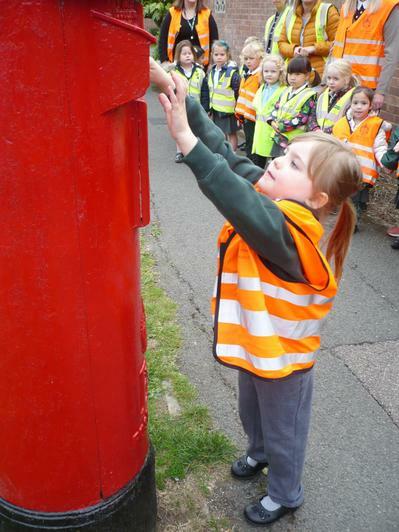 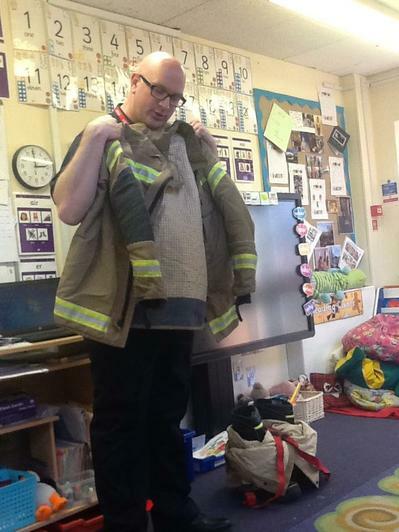 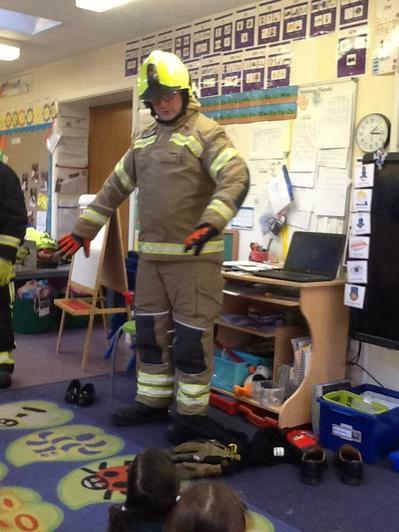 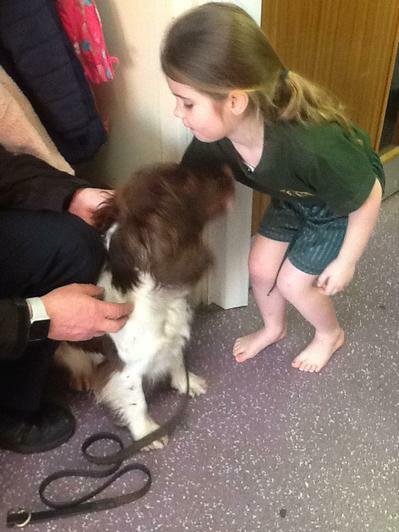 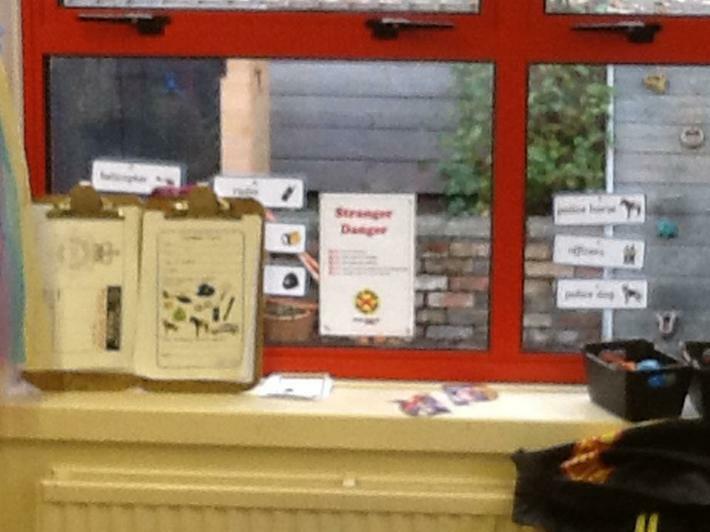 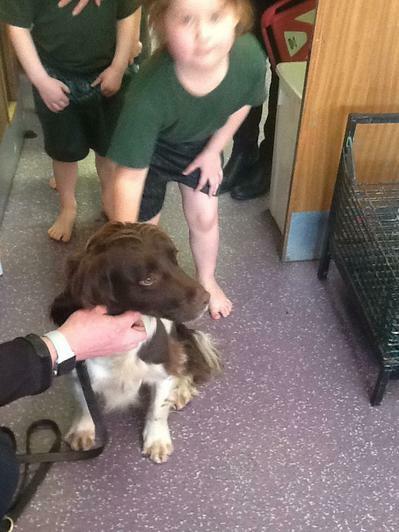 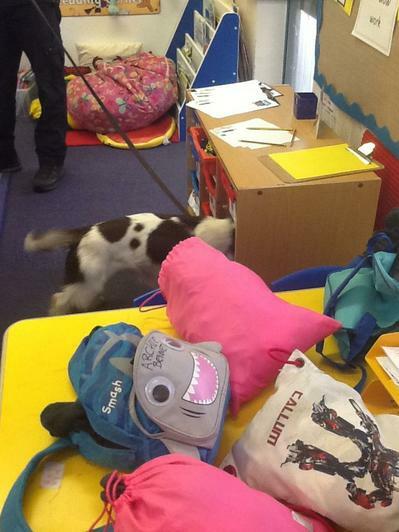 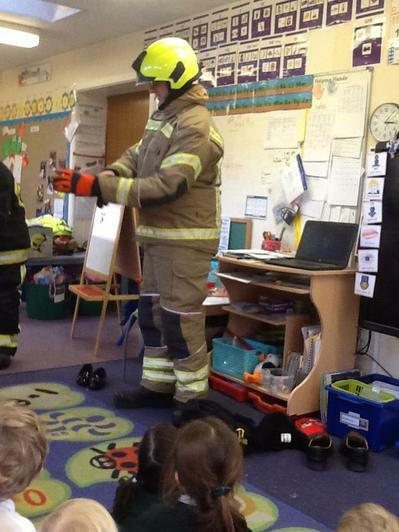 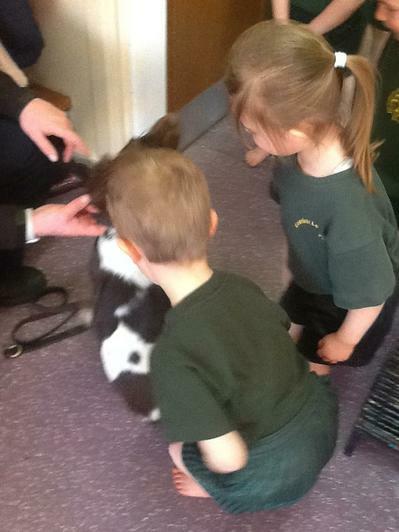 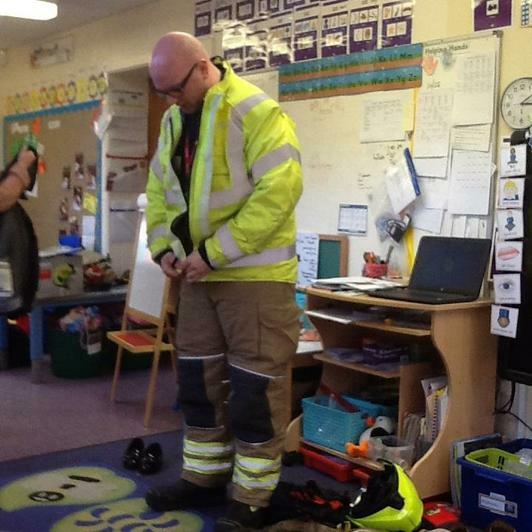 We are also hoping to have some visitors who will tell us about the special jobs they do. 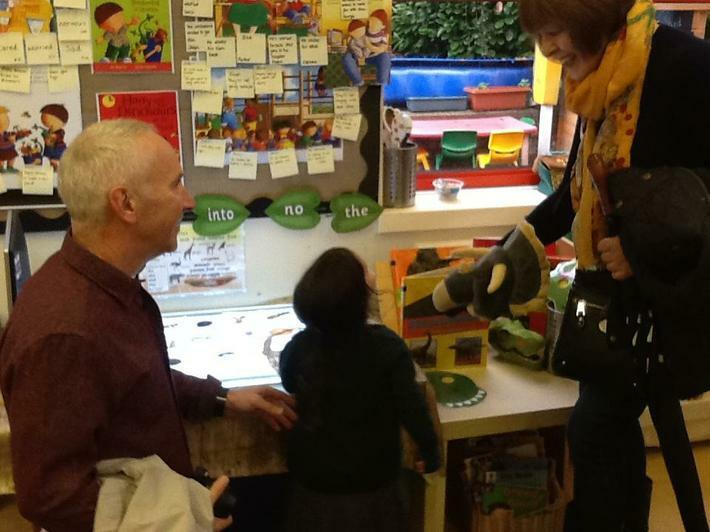 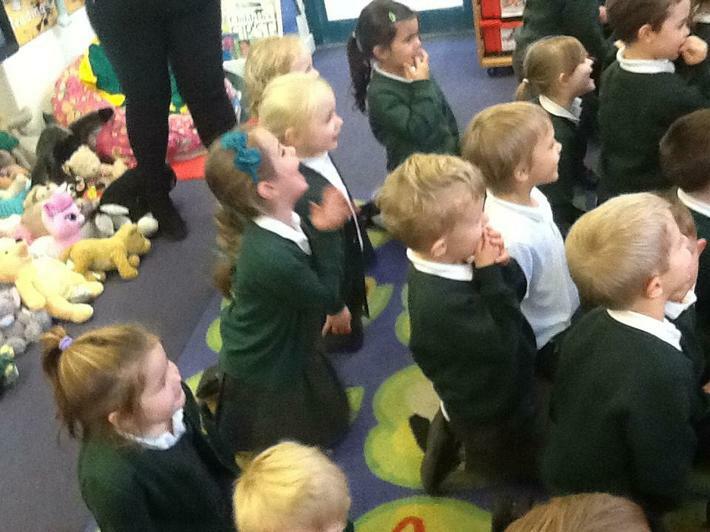 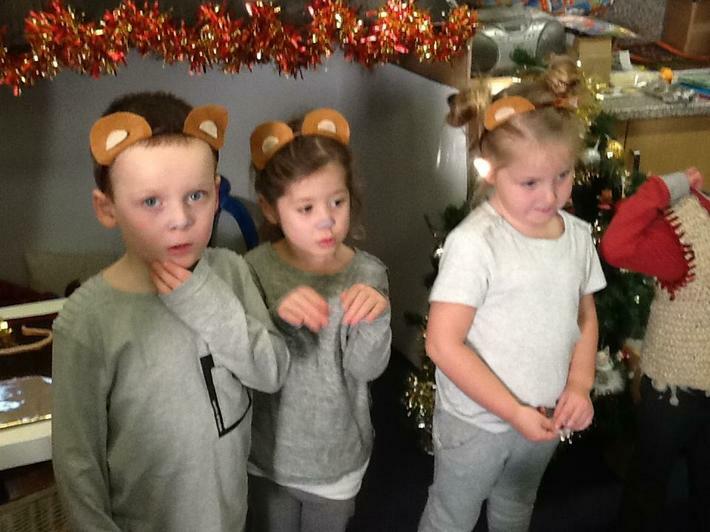 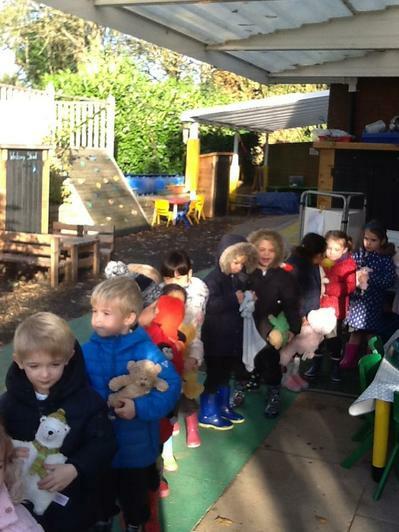 Our new topic began with a bear 'wow' day. 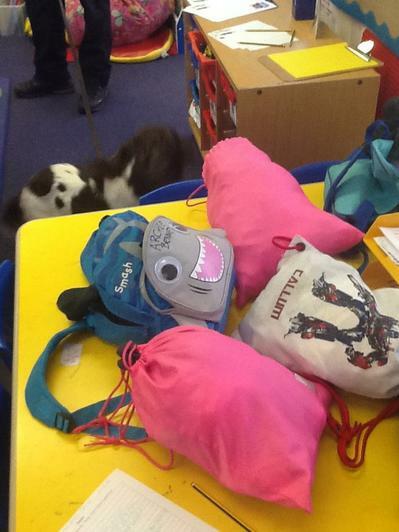 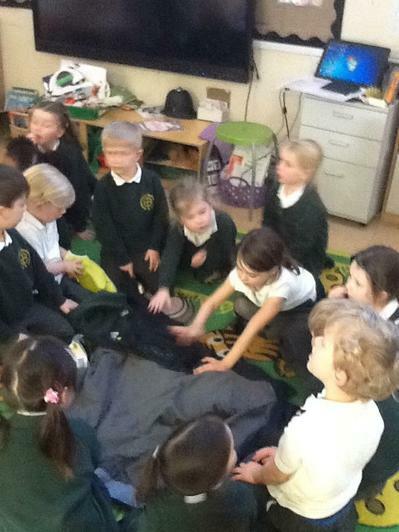 Overnight in Puffins classroom a bear cave arrived. 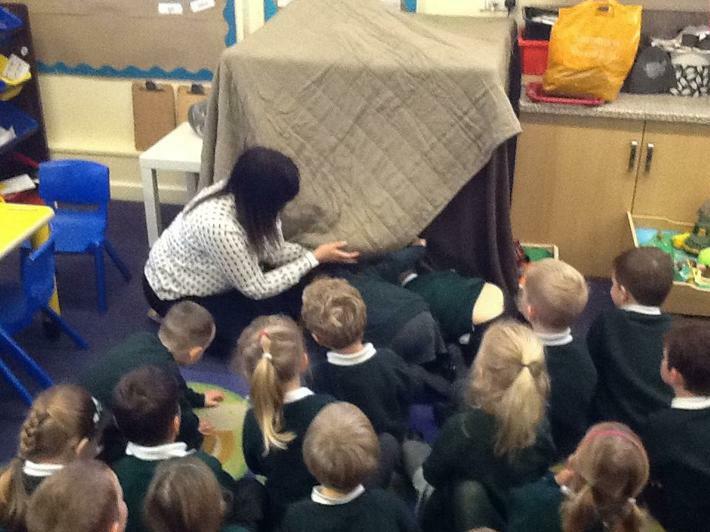 Mrs Cosby was very brave and agreed to investigate the cave with the help of Swans and Puffins. 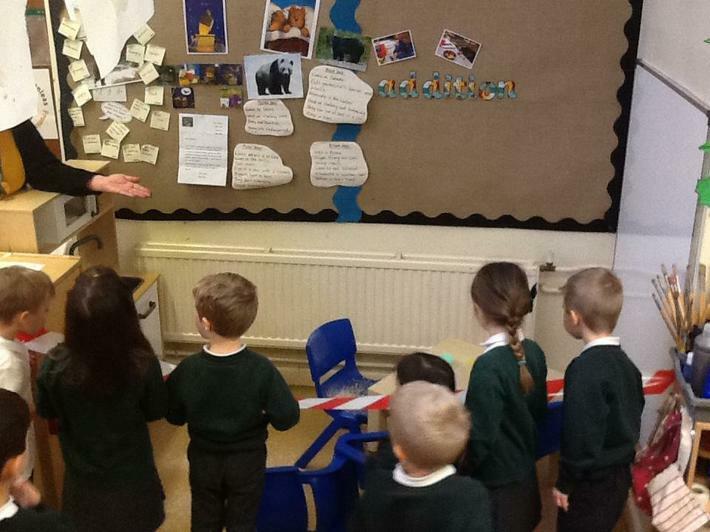 Inside the dark, gloomy cave we found a basket containing some unusual bottles and the book, 'Going on a Bear Hunt'. 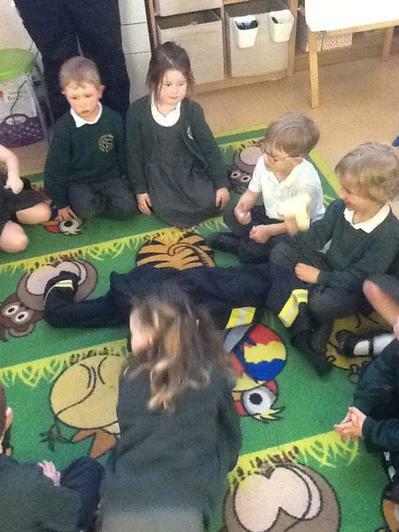 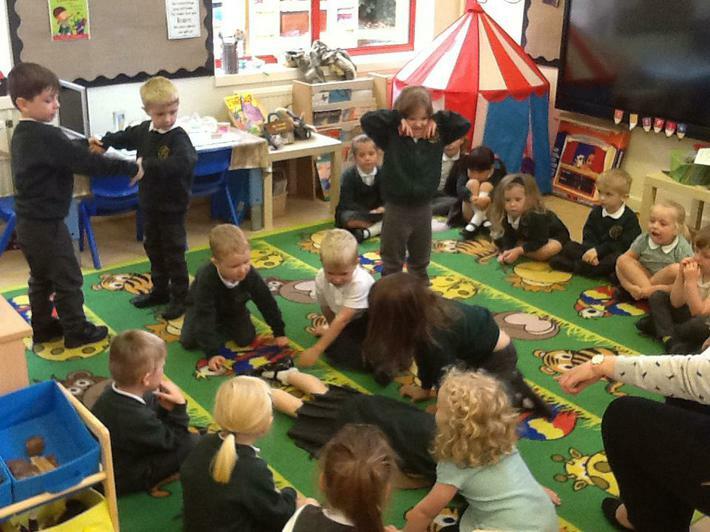 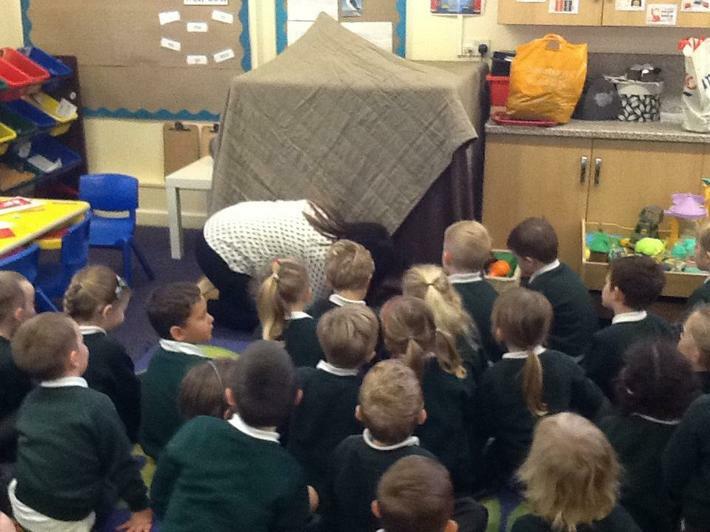 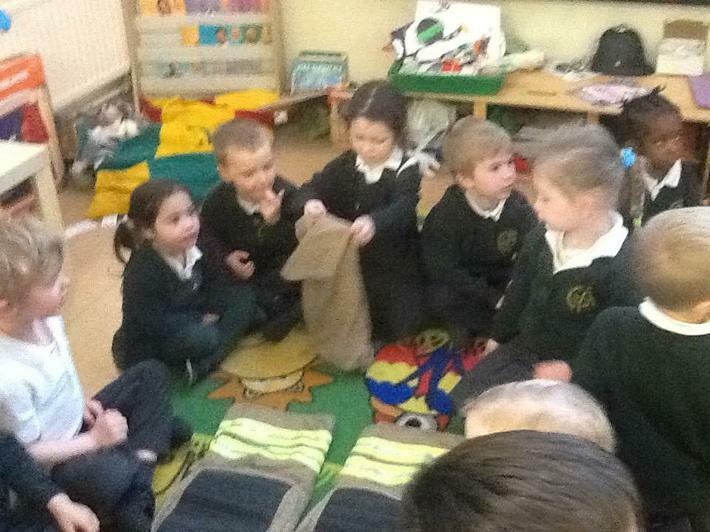 We had fun using the story props to act out and re-tell the story together and were all very relieved to find out our cave was a bear free one. 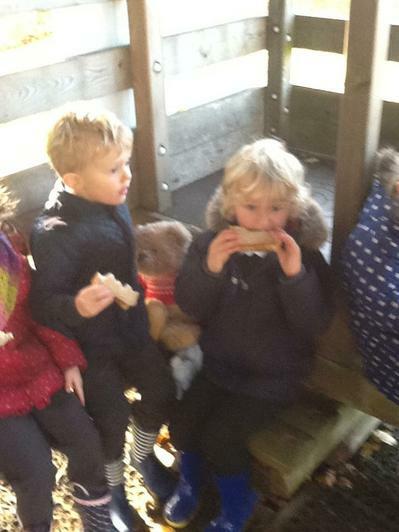 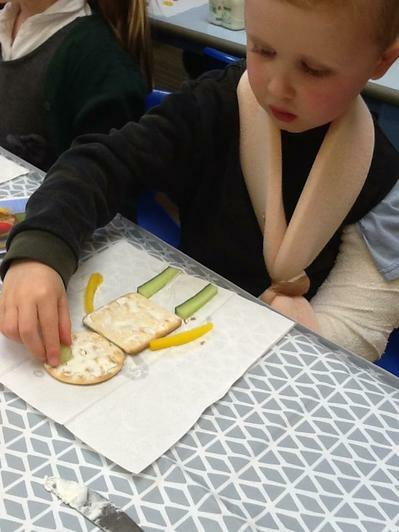 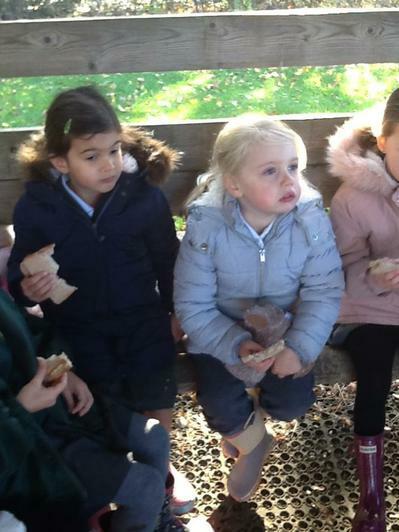 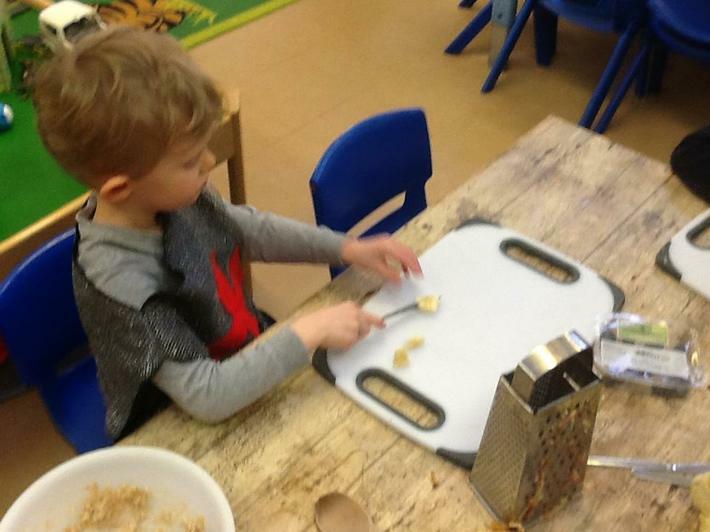 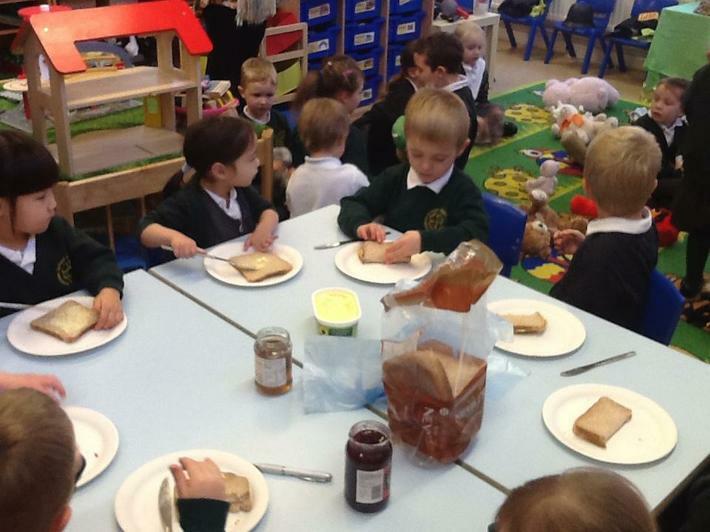 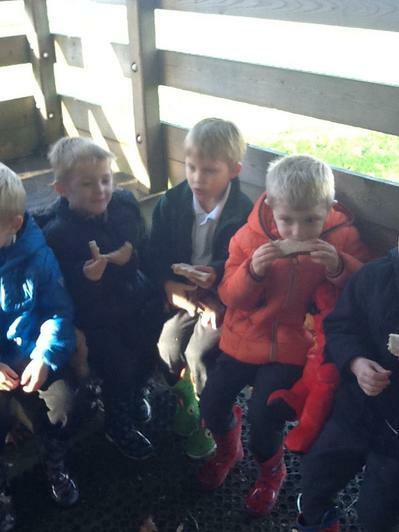 During the morning we made our own snack sandwiches to take on our bear hunt. 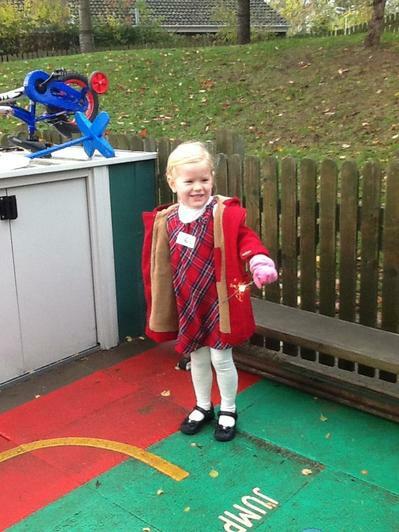 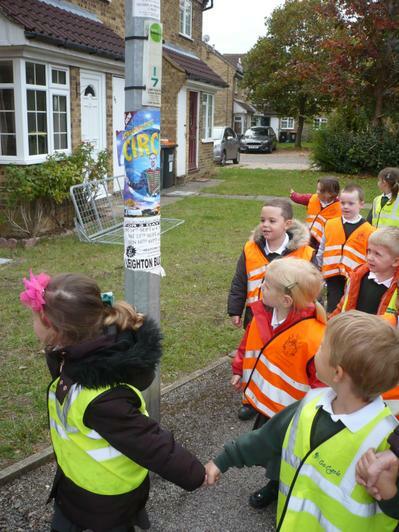 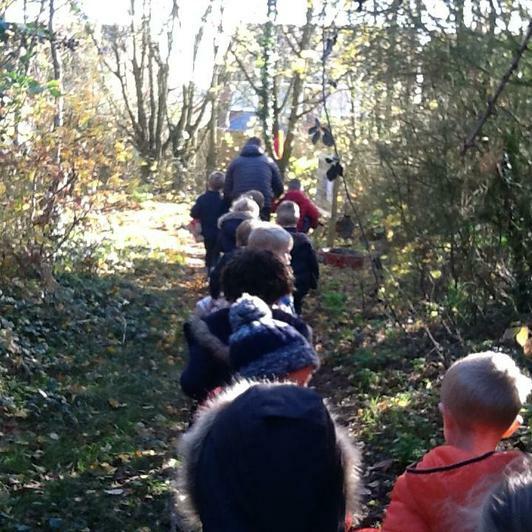 We followed the story clues through the woodland walk and re-enacted our favourite parts of the story. 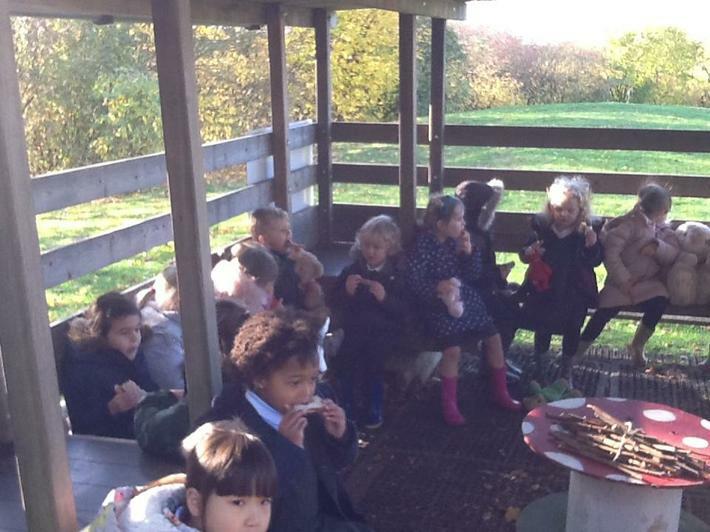 After all our bear hunting we had a rest and ate our snack in the outdoor classroom. 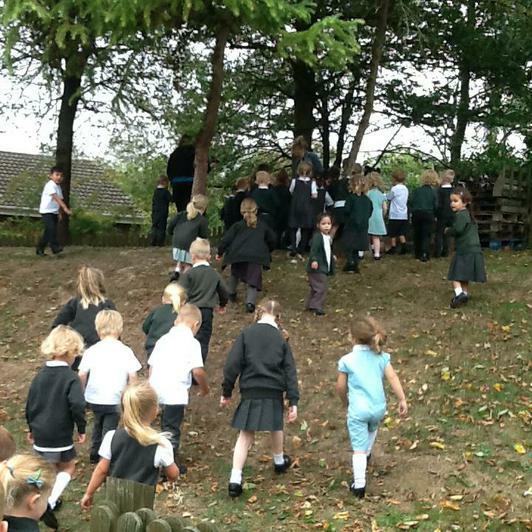 We were also happy to find that although we heard bear sounds and rustling bushes there are no bears living in our school. 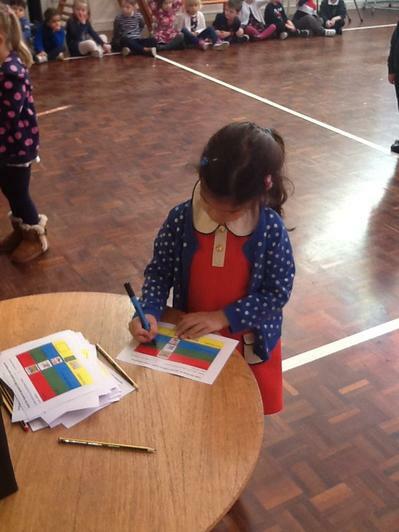 We began our week celebrating British Values Day where we learned about the Rule of Law. 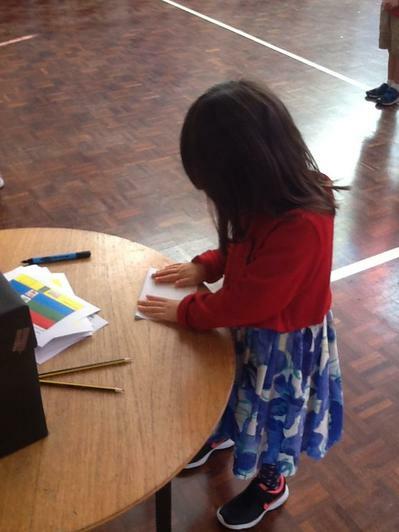 The day began with a whole school assembly where four teams of year four children pitched their ideas for resourcing the quiet room. 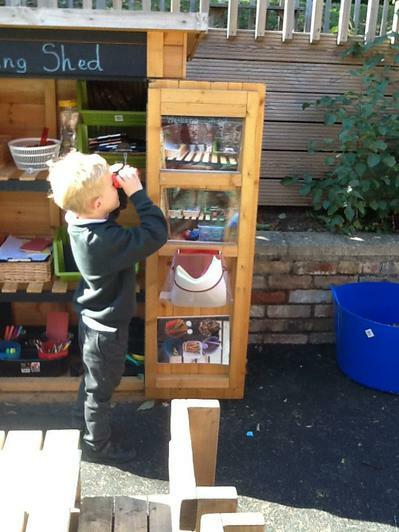 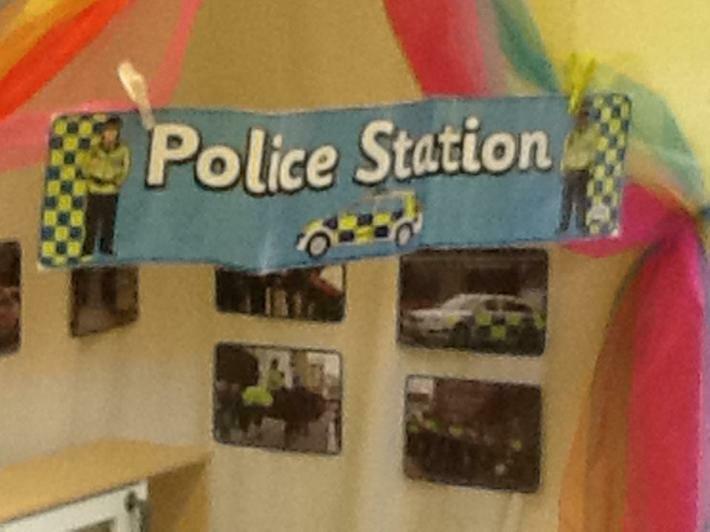 This will be available to children as a scheduled lunchtime alternative to the playground. 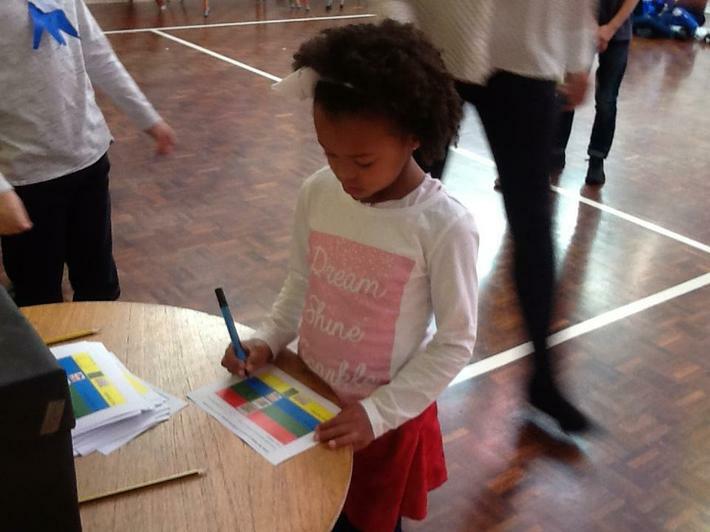 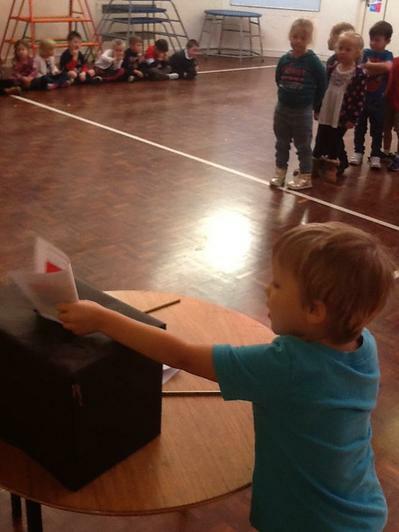 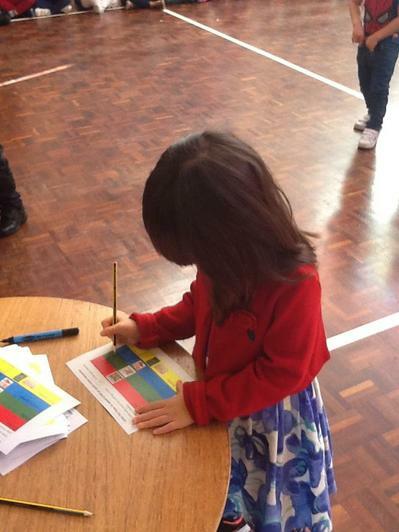 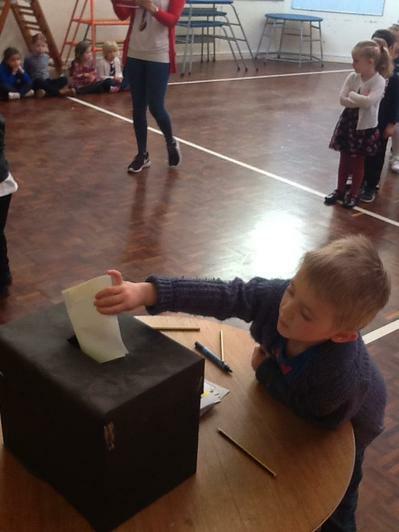 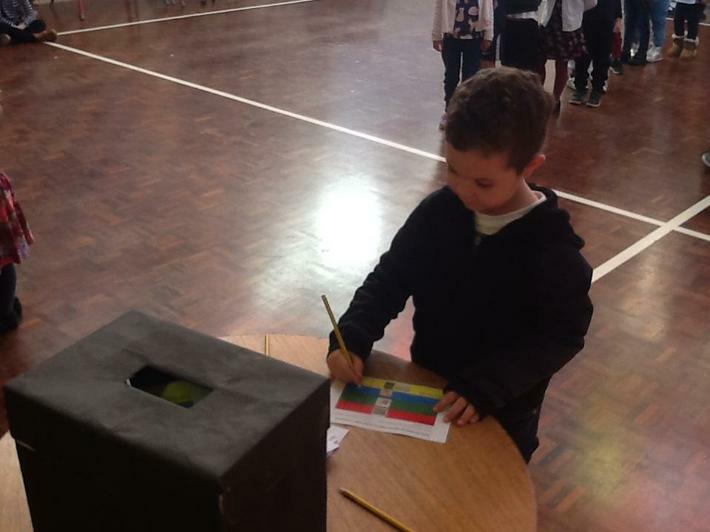 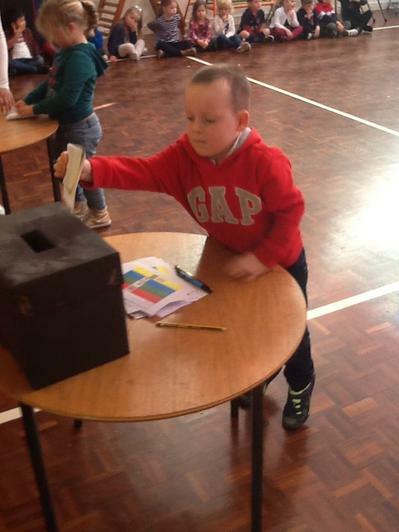 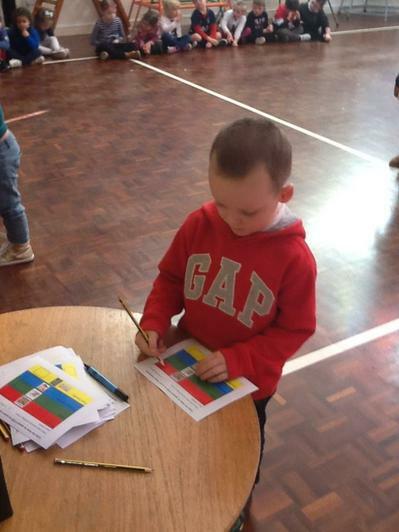 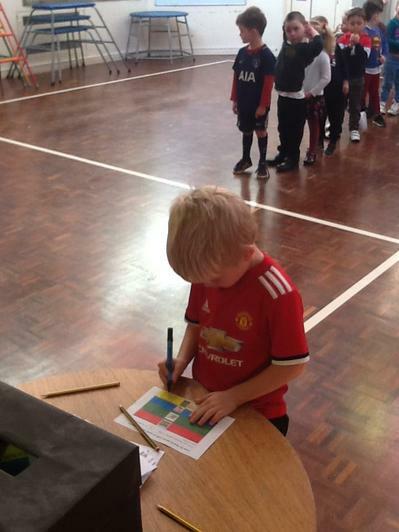 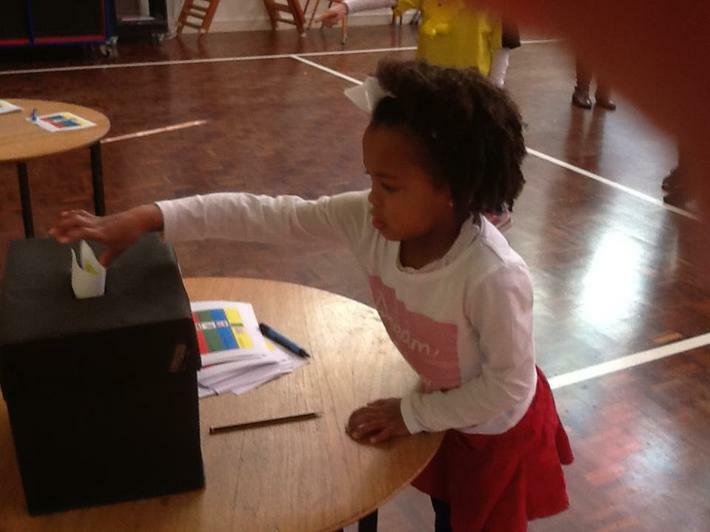 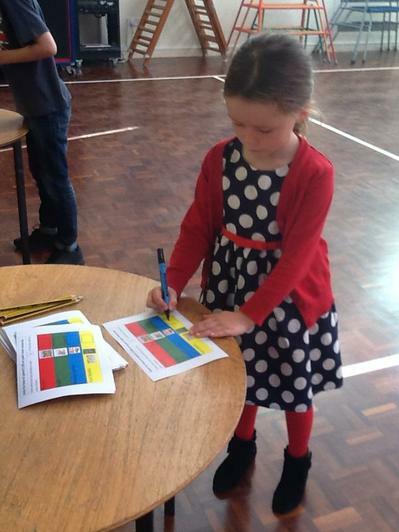 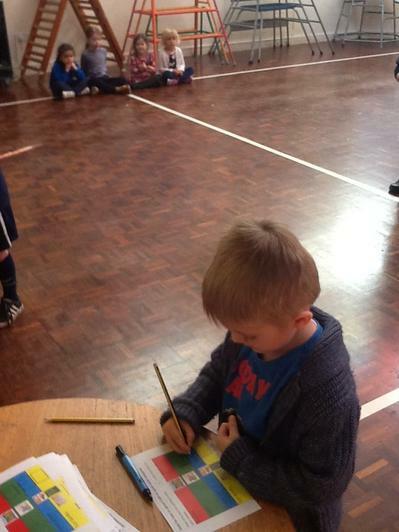 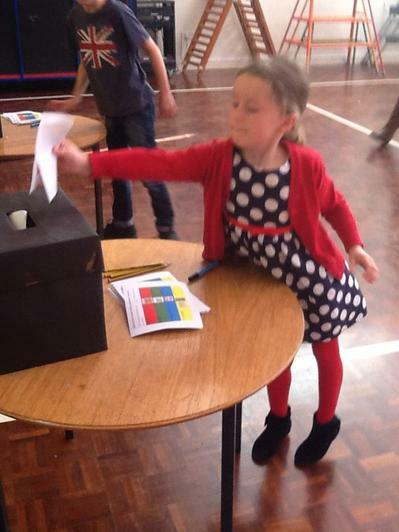 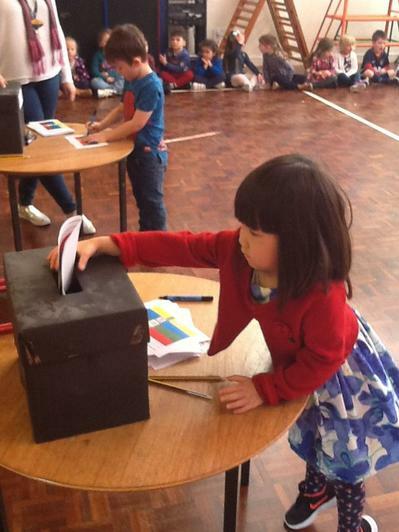 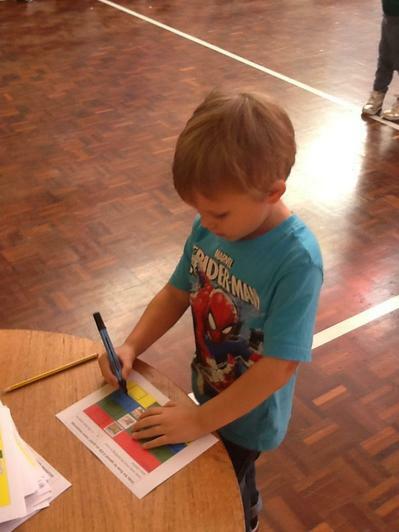 After the assembly each child voted for their favourite craft. 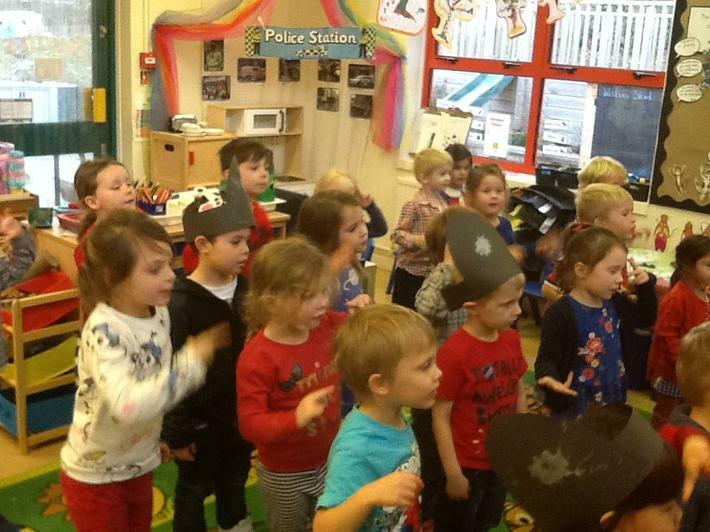 Throughout the morning the children enjoyed activities in the classroom including making their own handcuffs, warrant cards, police badges and helmets and enjoyed pretending to be police officers in our role play police station.The highlight of this was a visit from a community police officer to tell us about their job role. 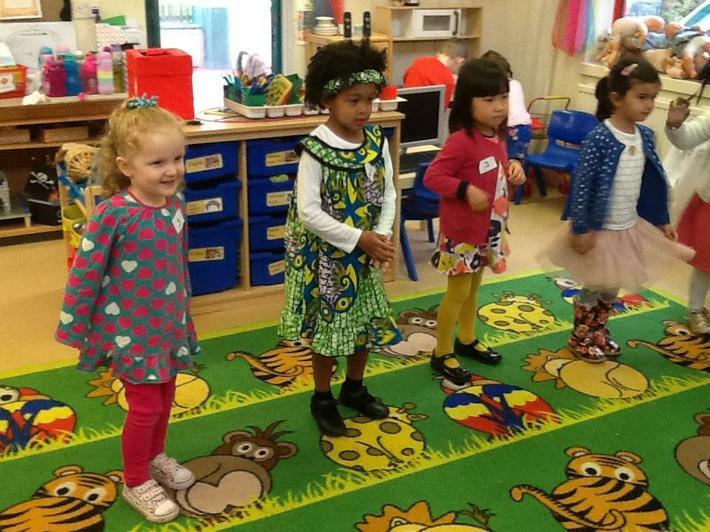 In the afternoon we shared the story of Giraffes Can't Dance and talked about our similarities and differences and why it is important to respect one another, linking this to our Greenlea's Promise. 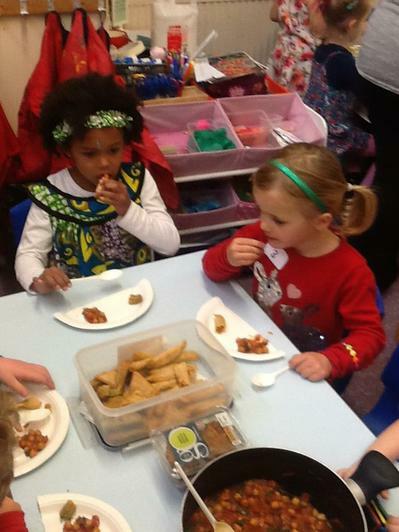 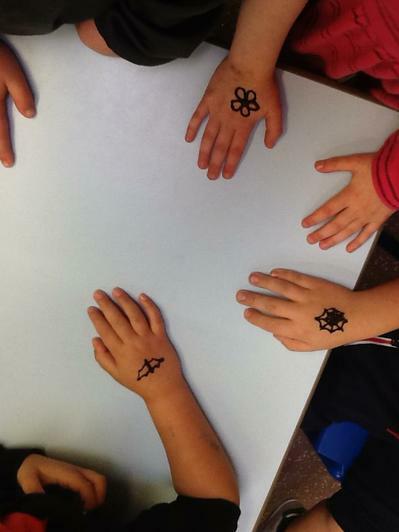 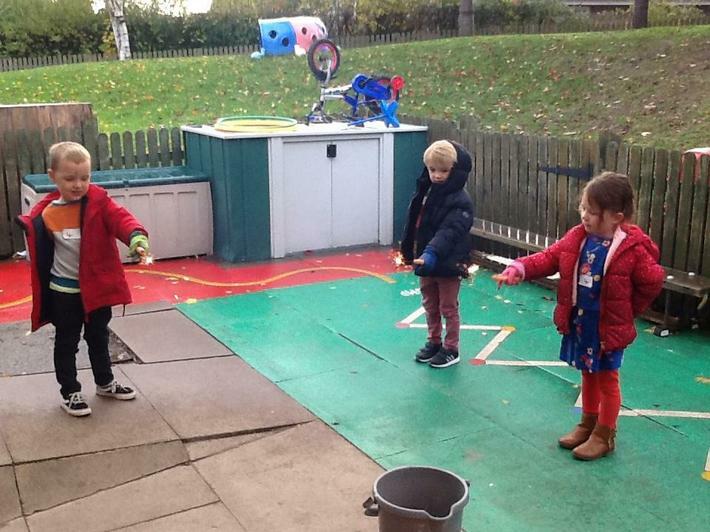 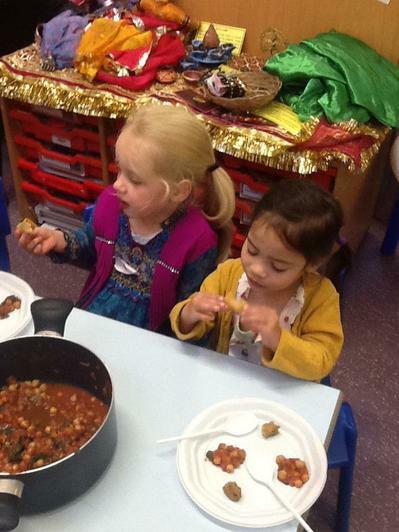 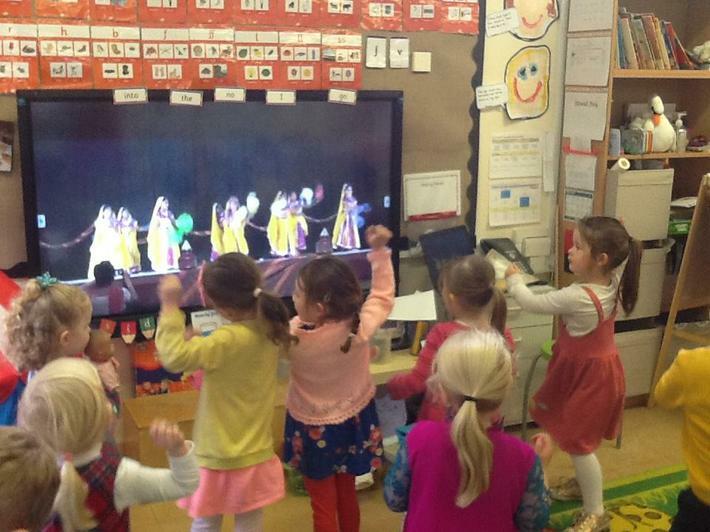 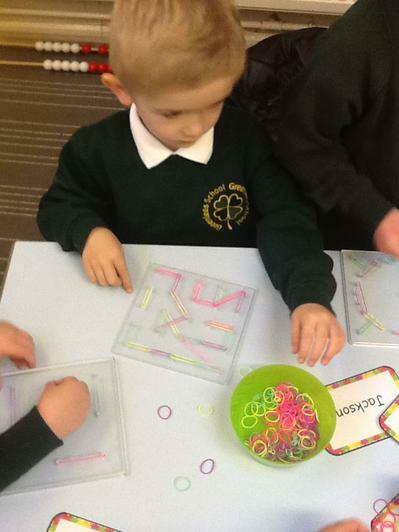 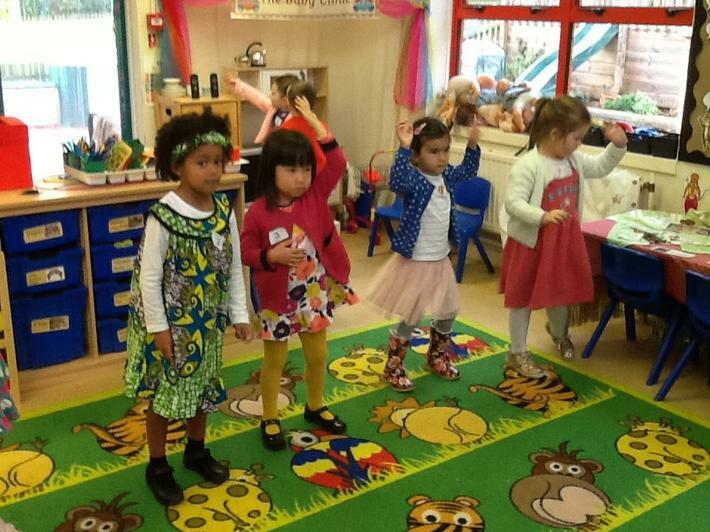 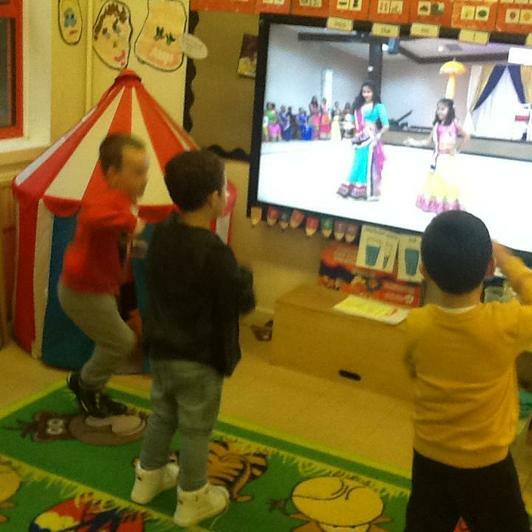 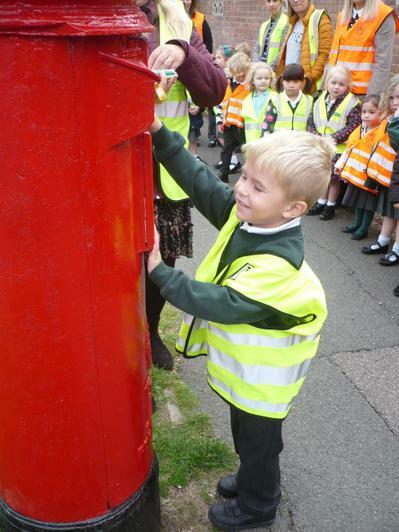 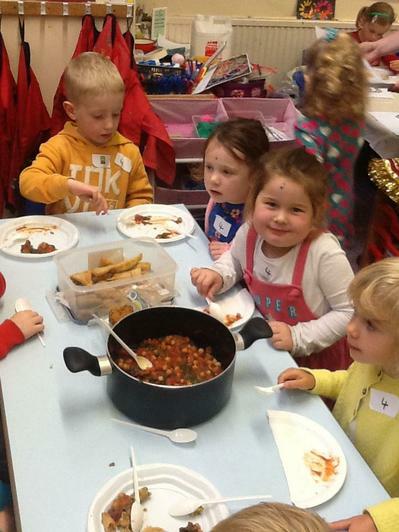 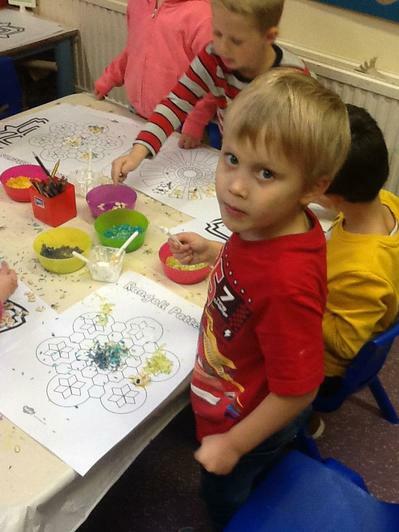 The children had fun joining in with the Diwali day celebrations with their friends. 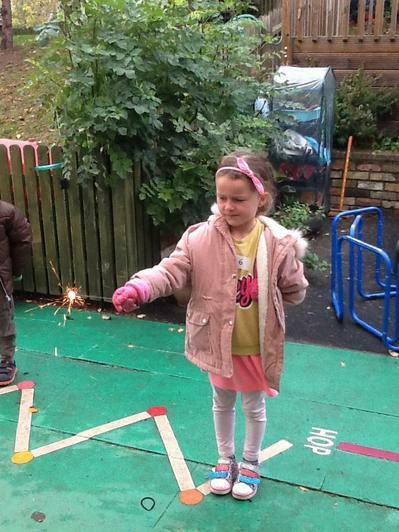 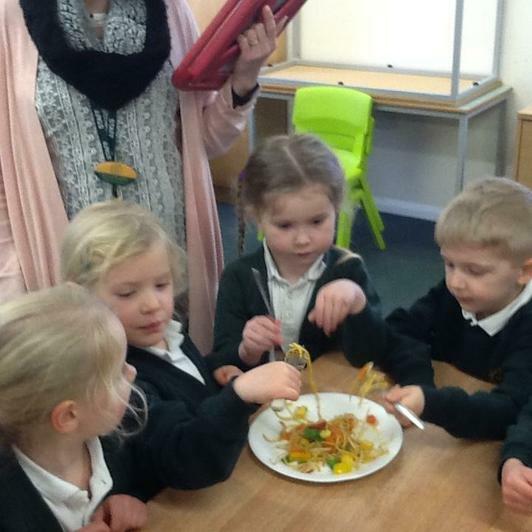 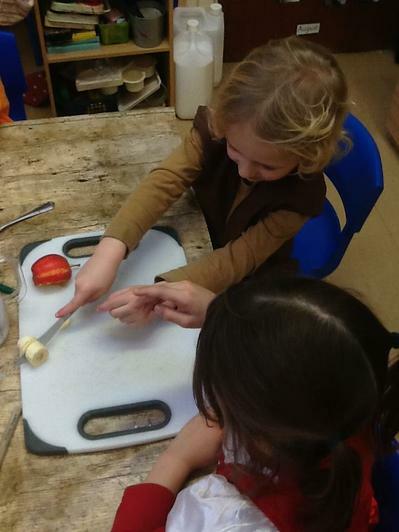 Throughout the day they enjoyed taking part in special celebration activities which included henna tattoos, food tasting, making their own diva lamps and they even got to hold a sparkler. 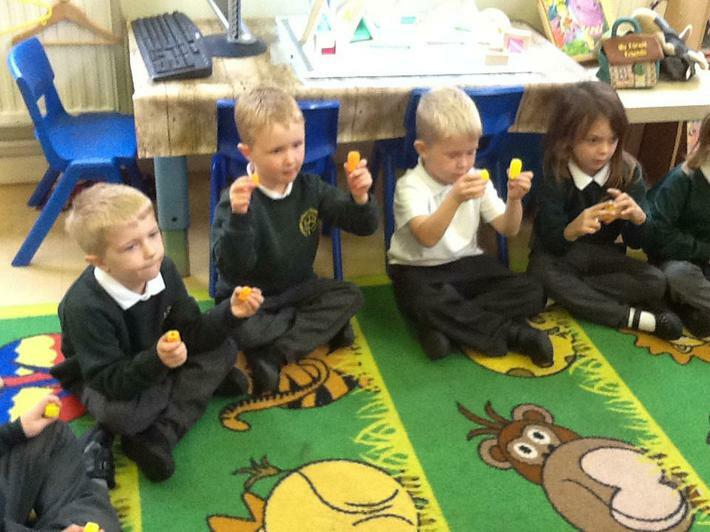 Tasting the Fruits from Handa's Surprise. 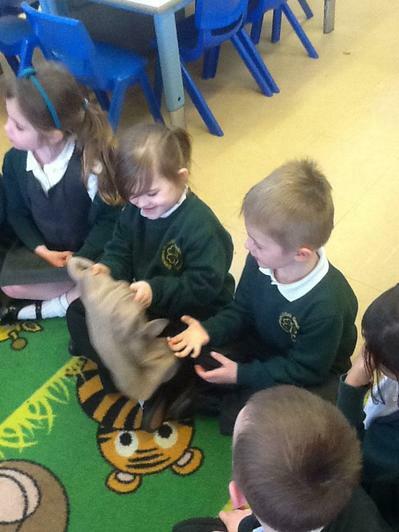 As part of our topic this term we have been reading the book Handa's Surprise. 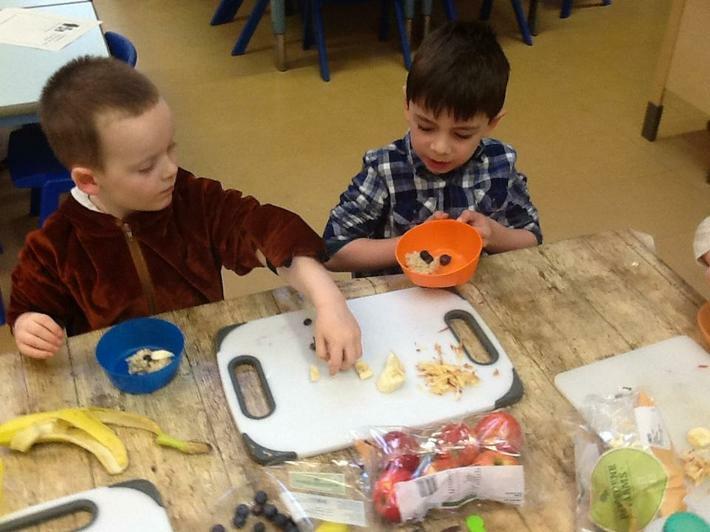 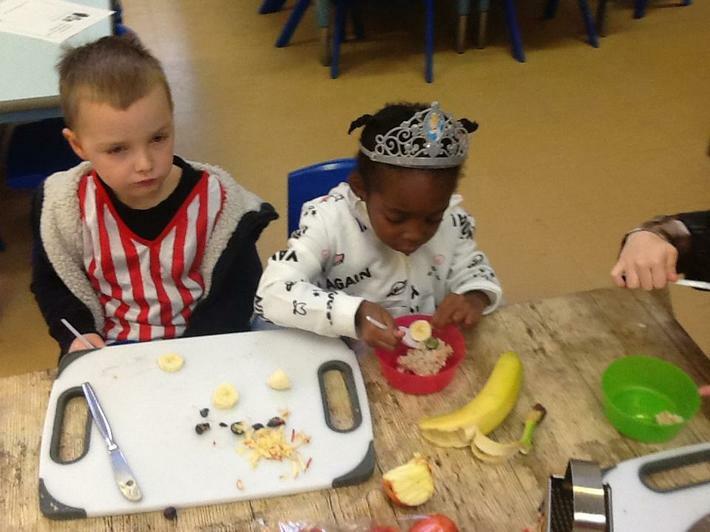 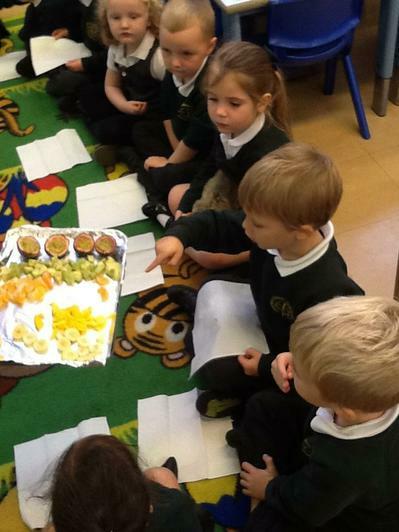 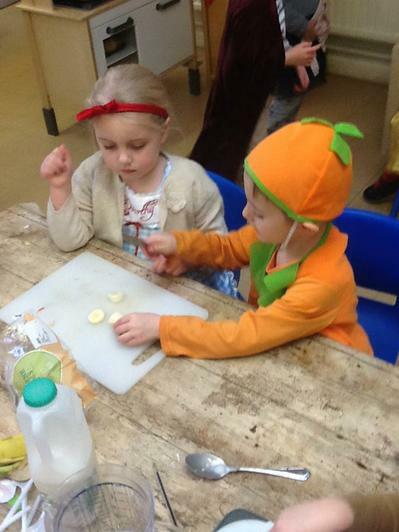 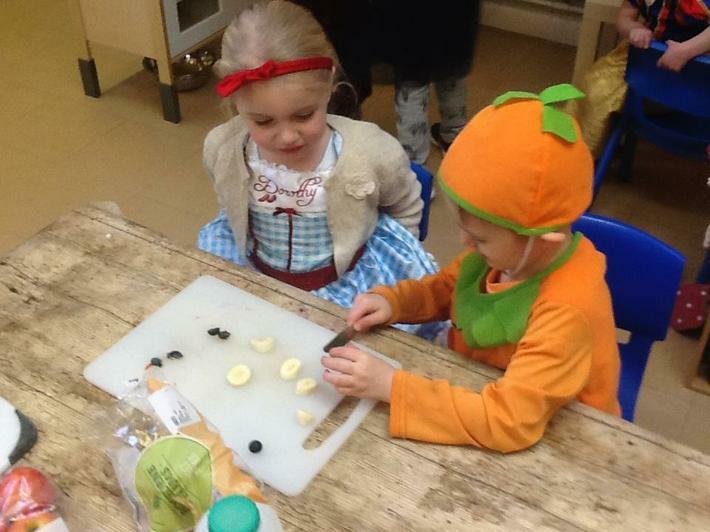 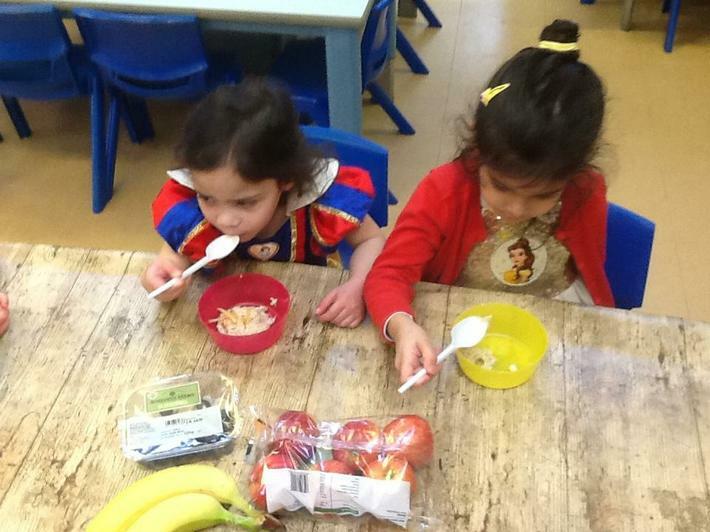 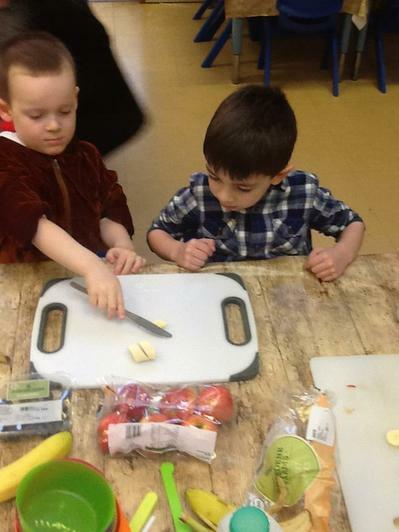 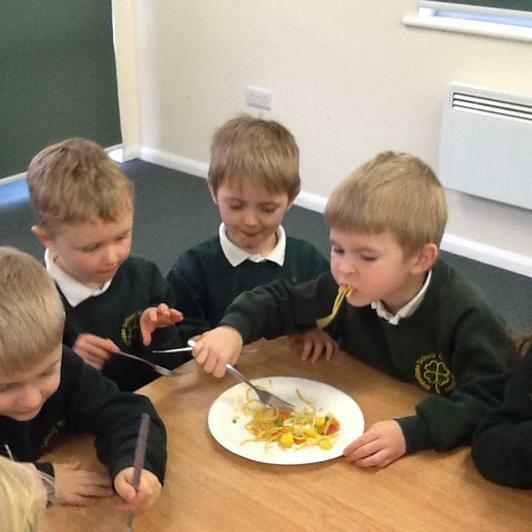 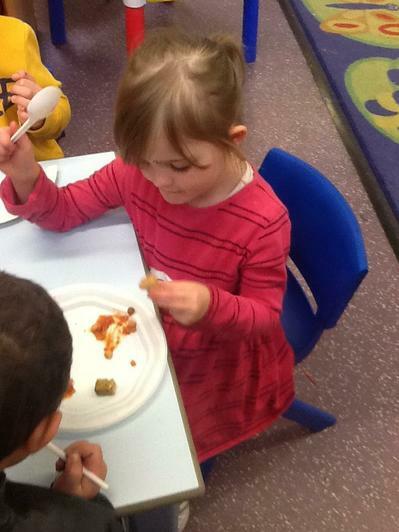 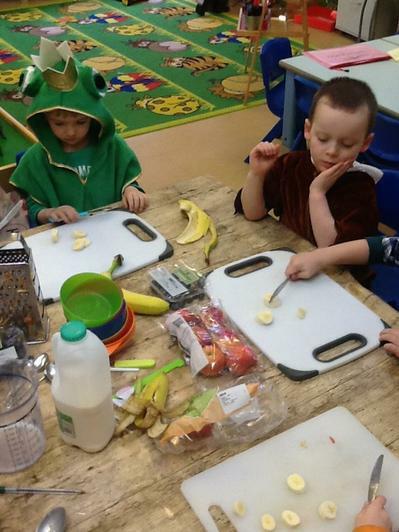 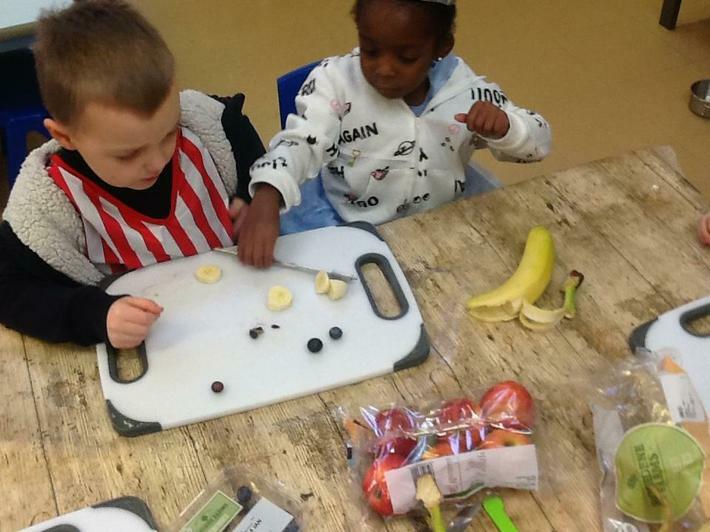 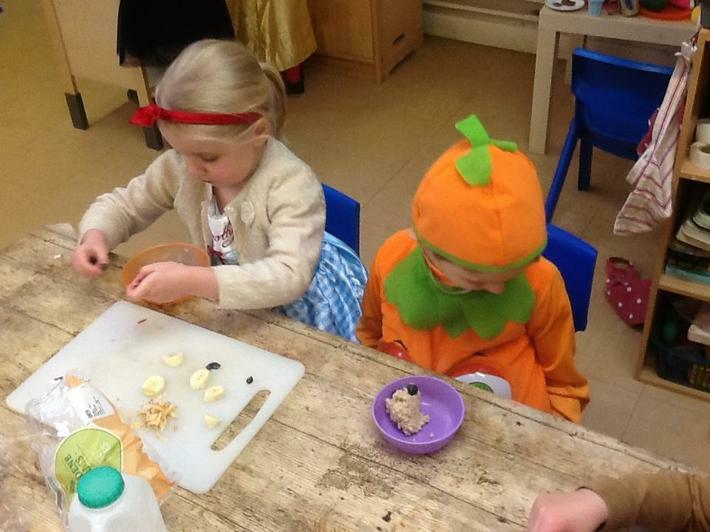 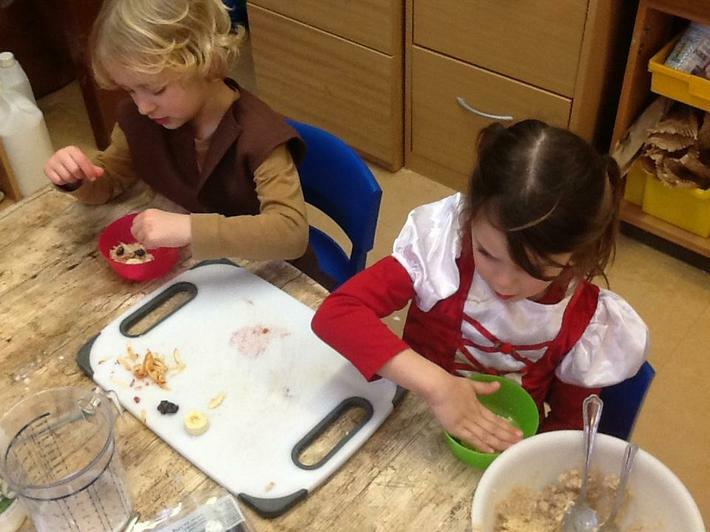 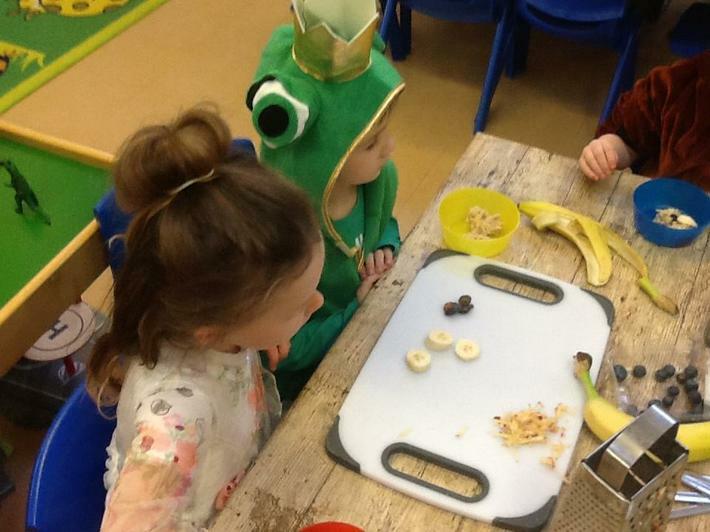 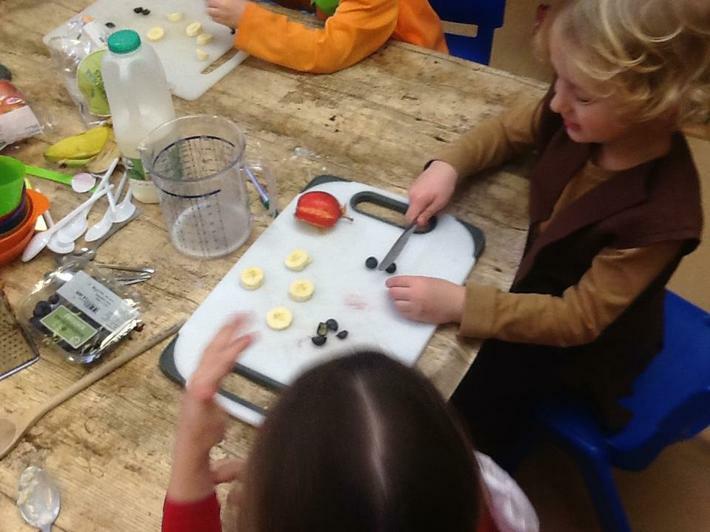 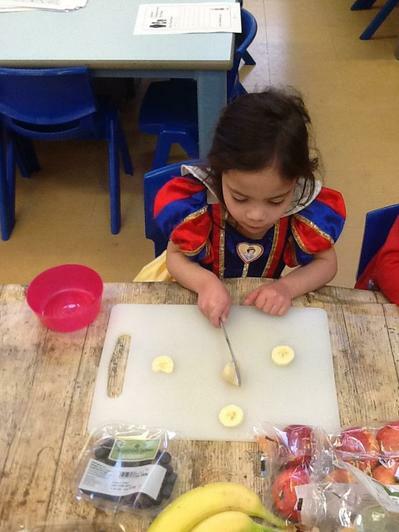 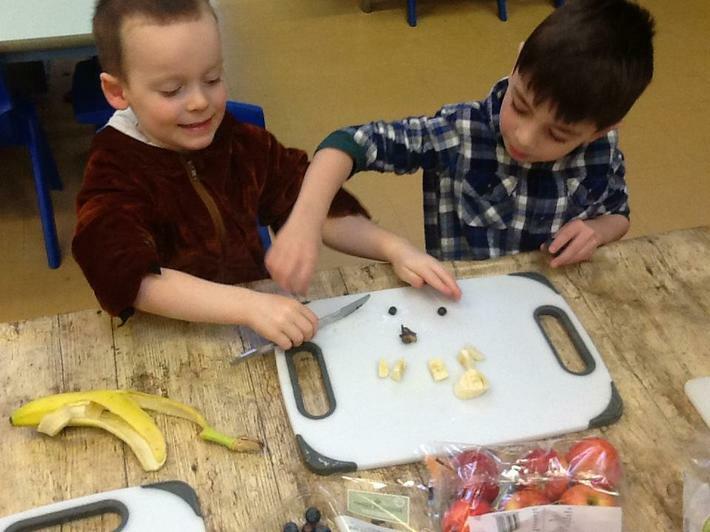 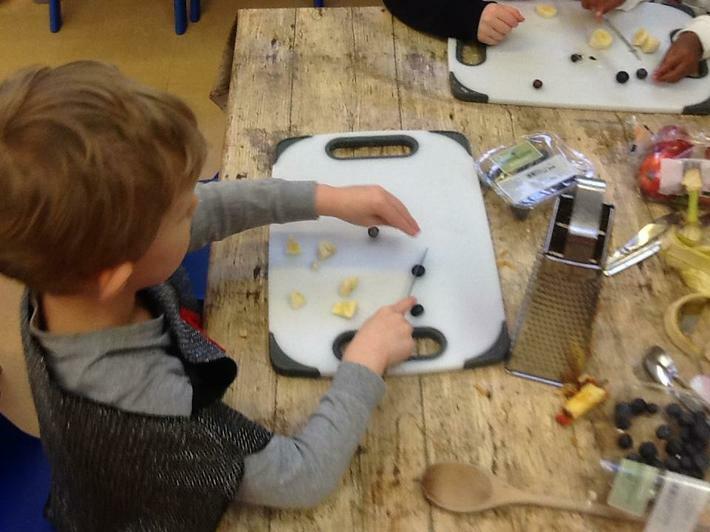 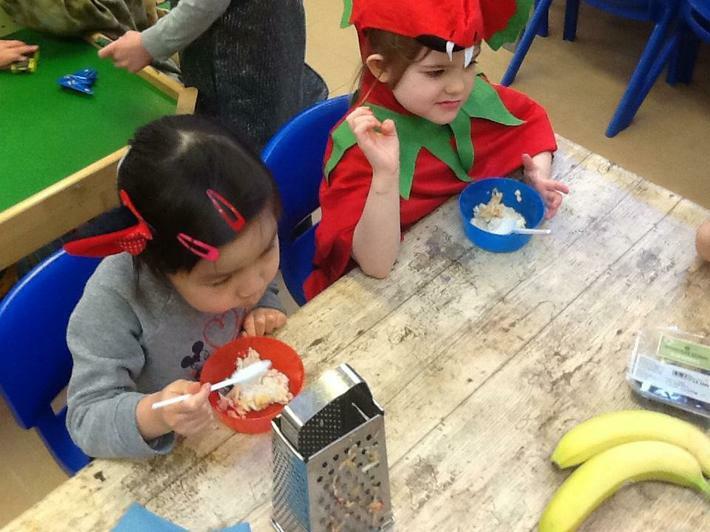 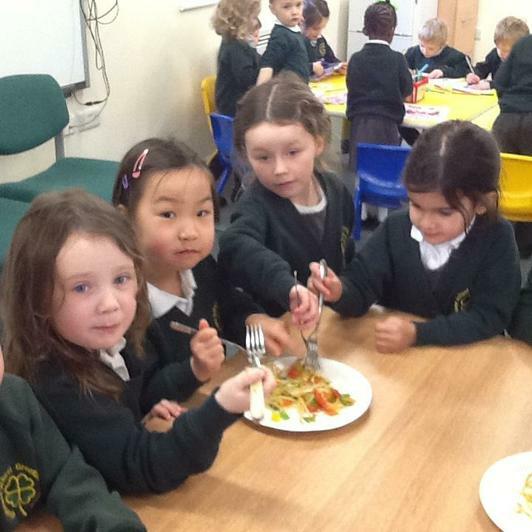 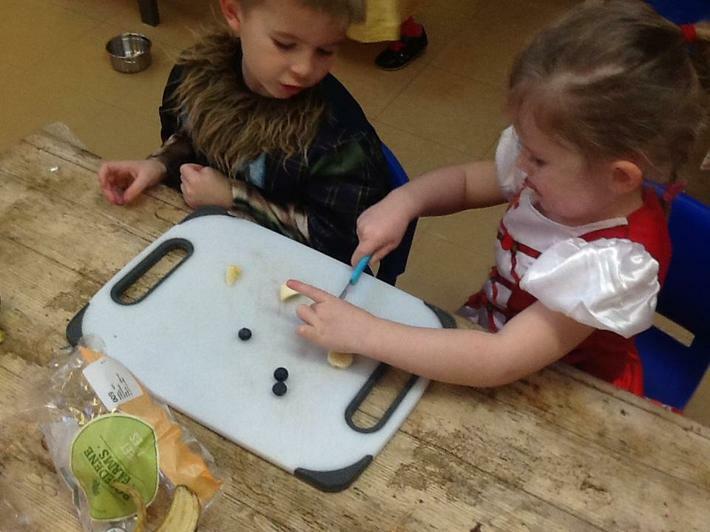 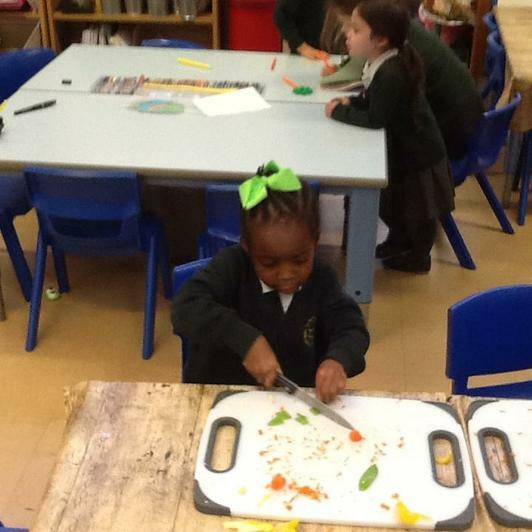 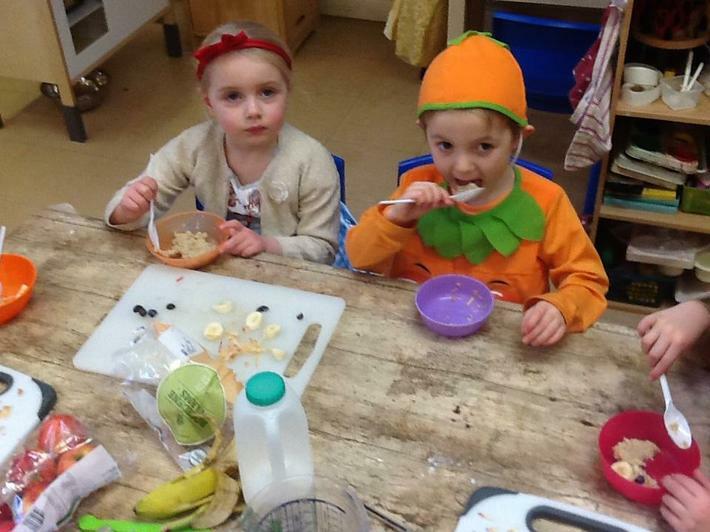 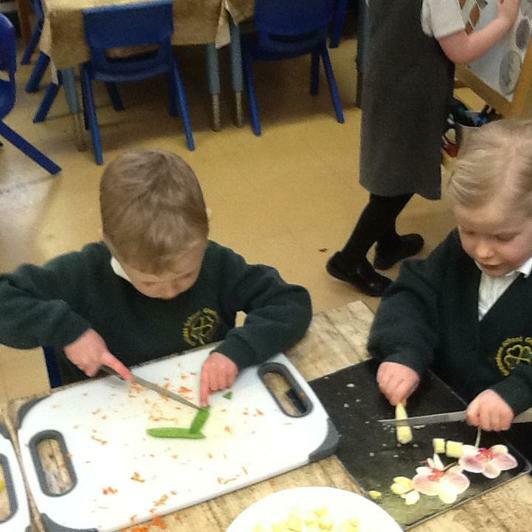 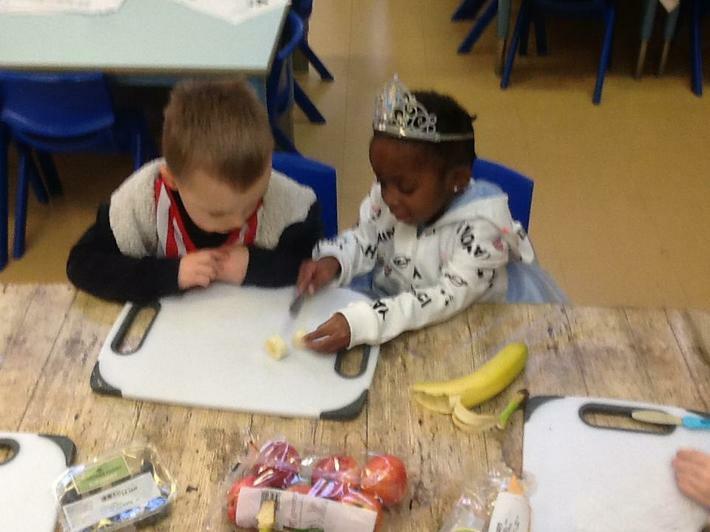 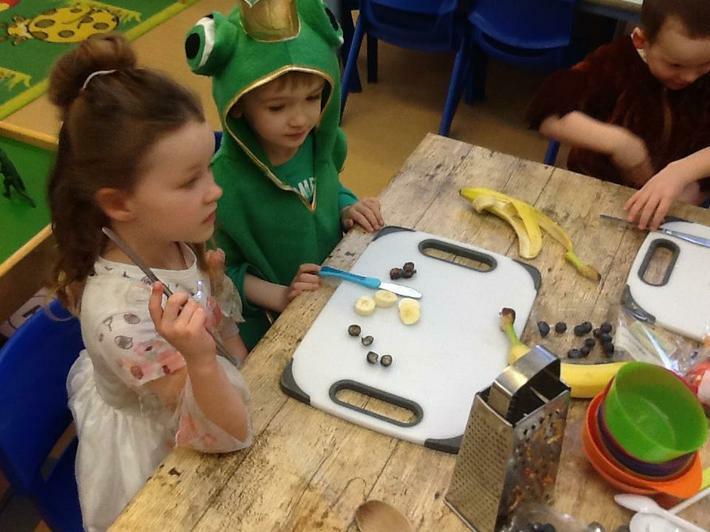 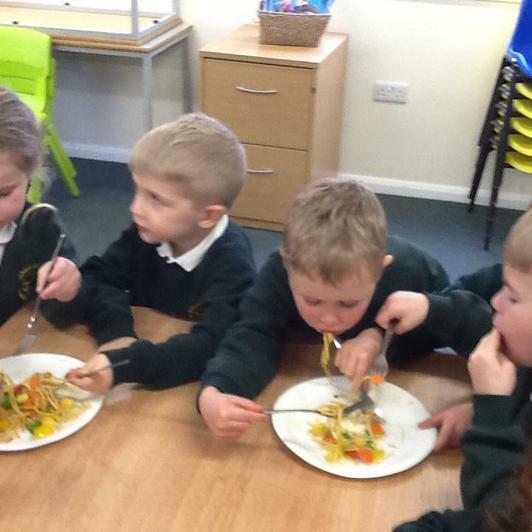 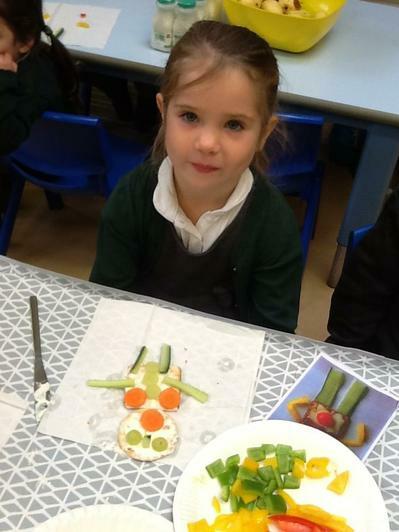 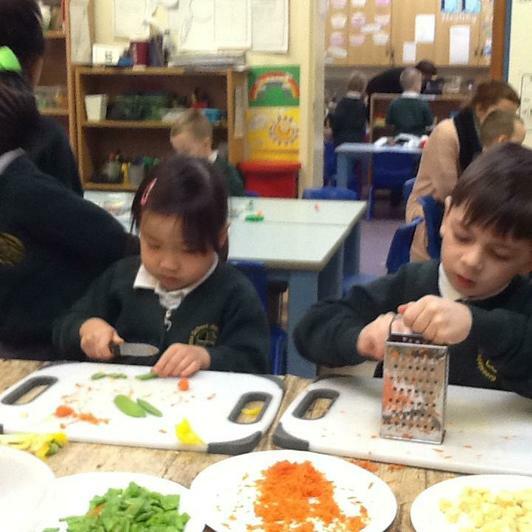 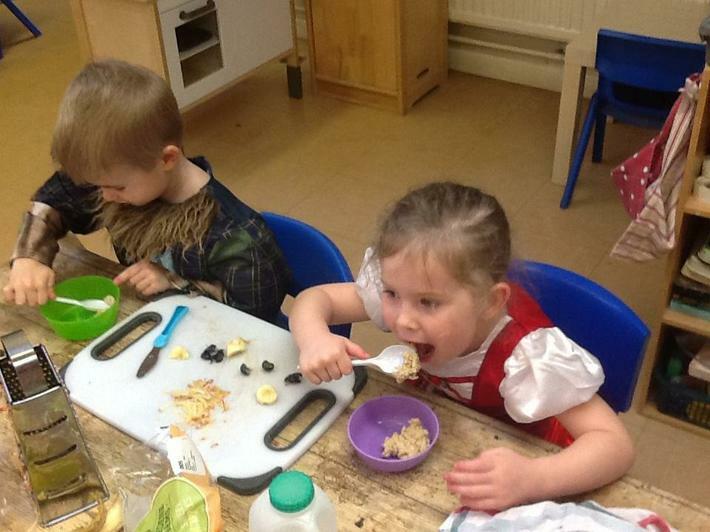 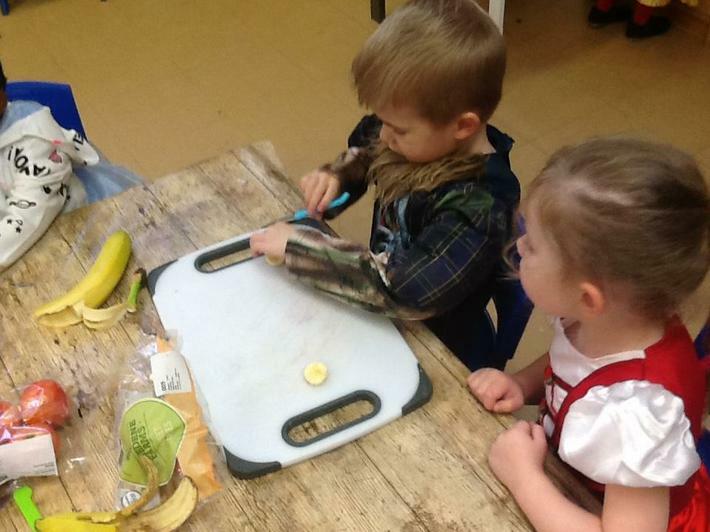 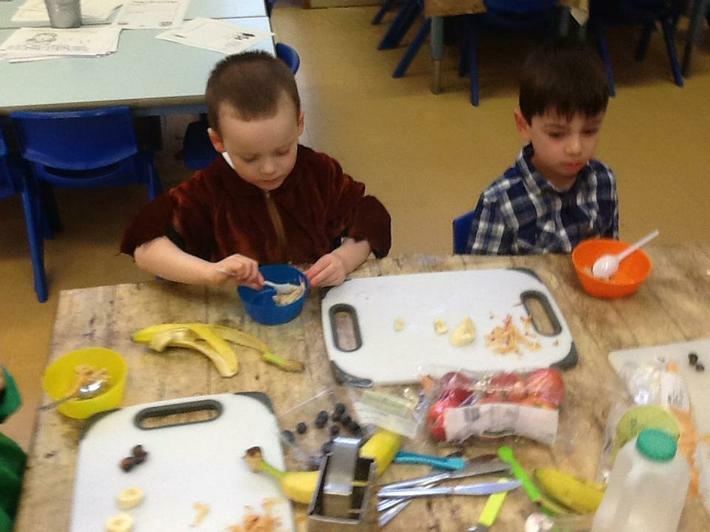 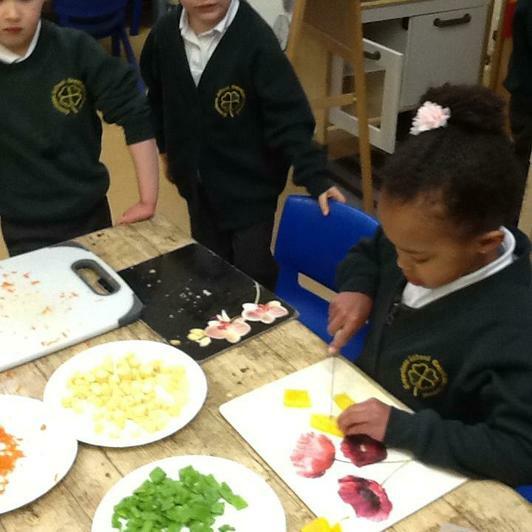 We enjoyed tasting the fruits that Handa had in her basket. 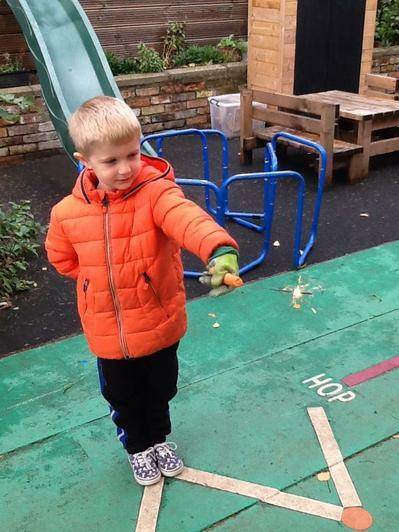 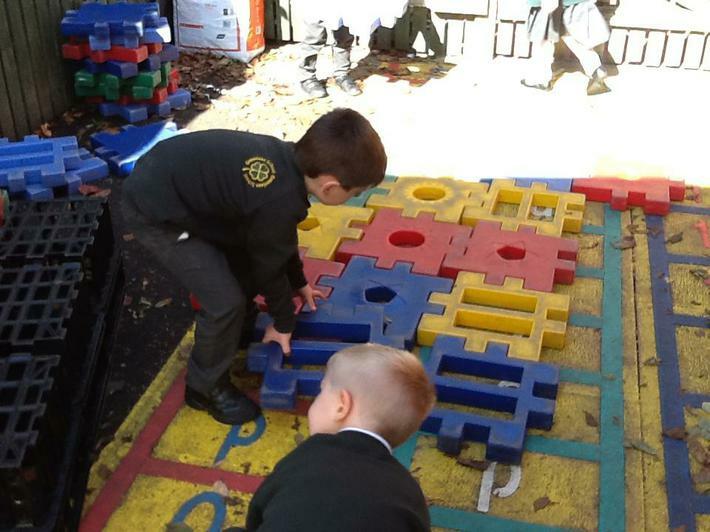 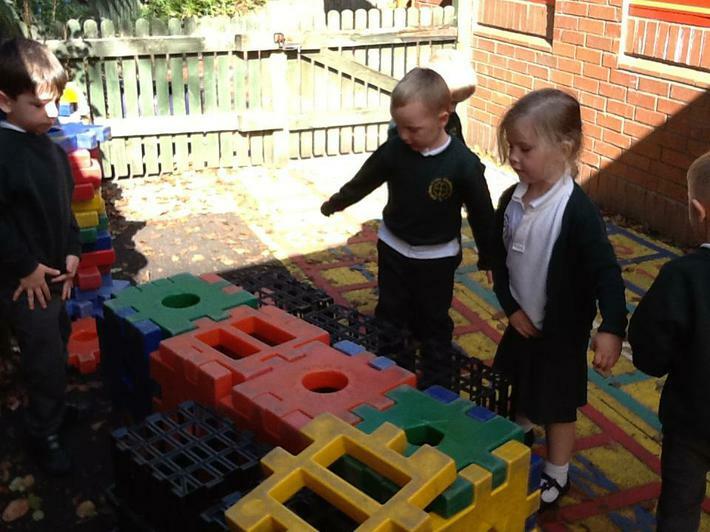 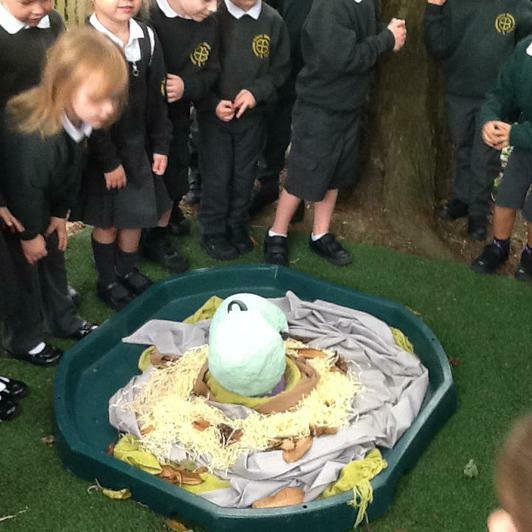 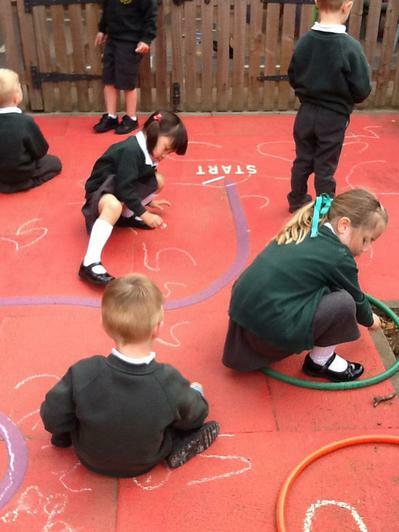 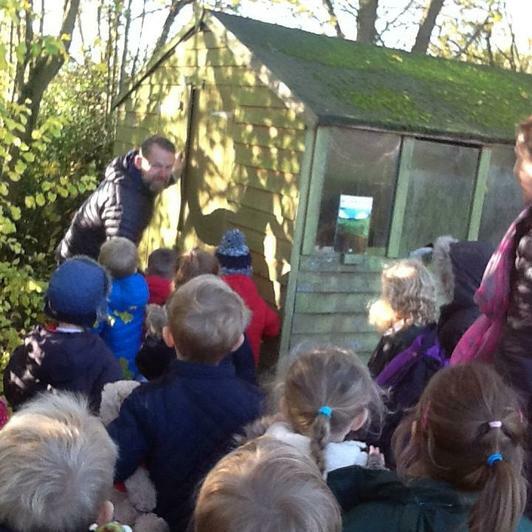 At the start of the week we found an giant egg hiding in the Reception outdoor learning space. 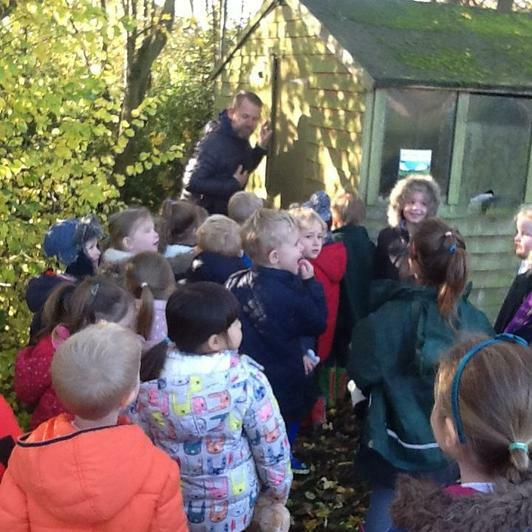 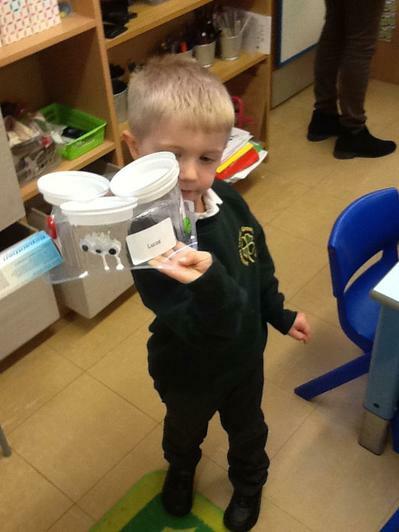 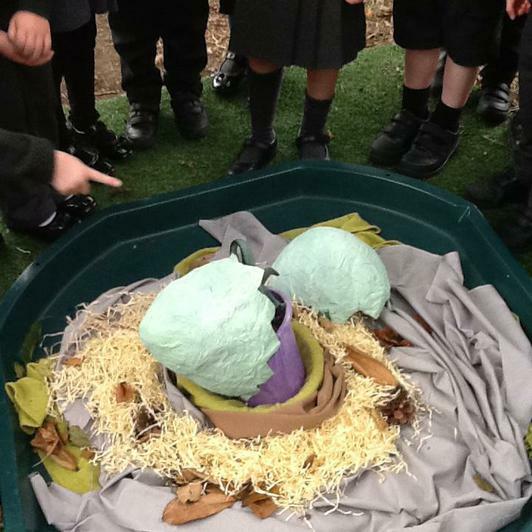 We talked about what we thought might be inside the egg and how we would look after it. 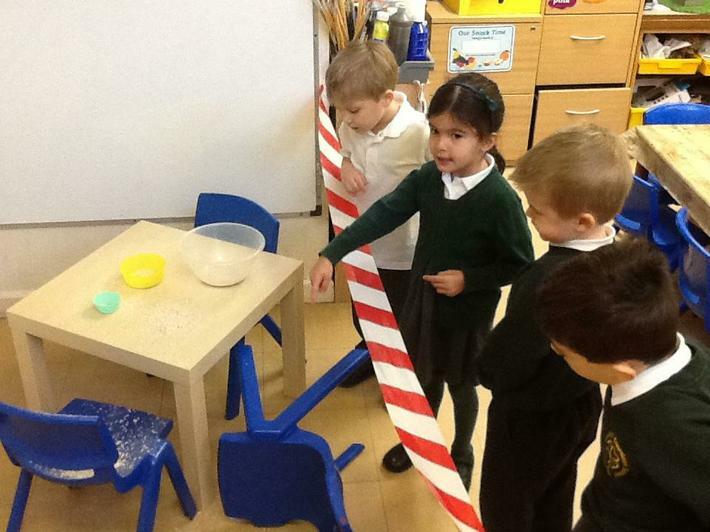 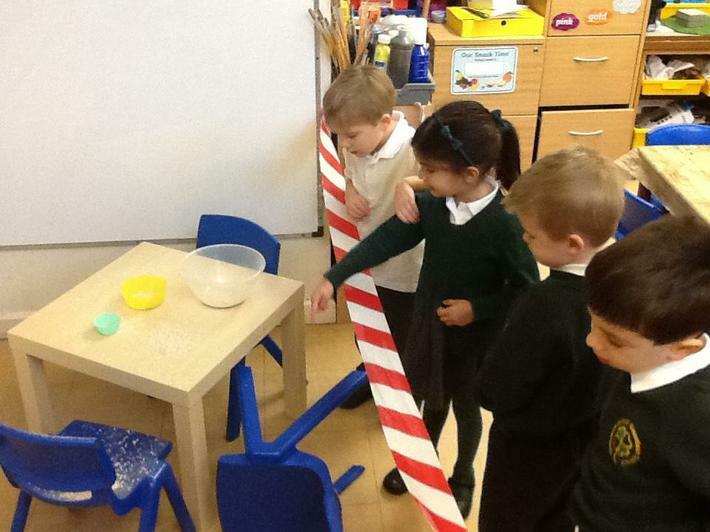 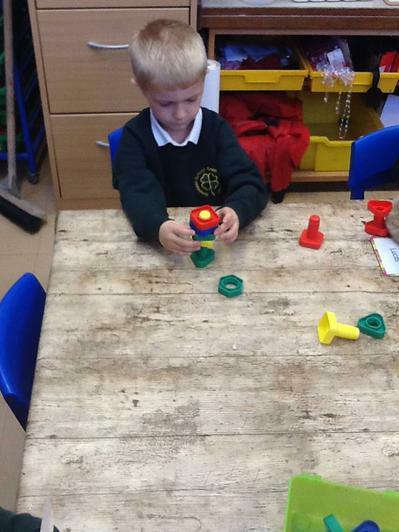 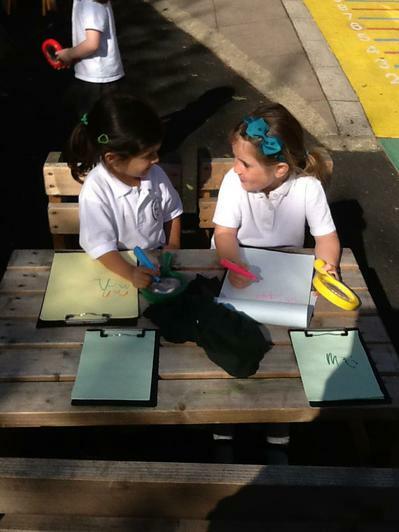 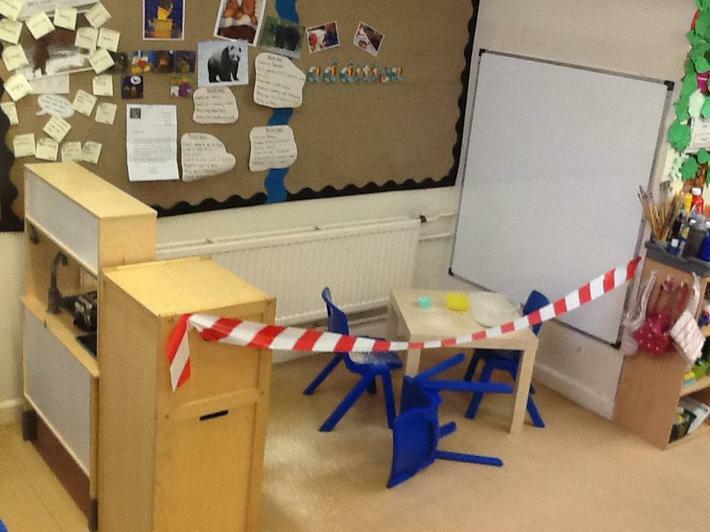 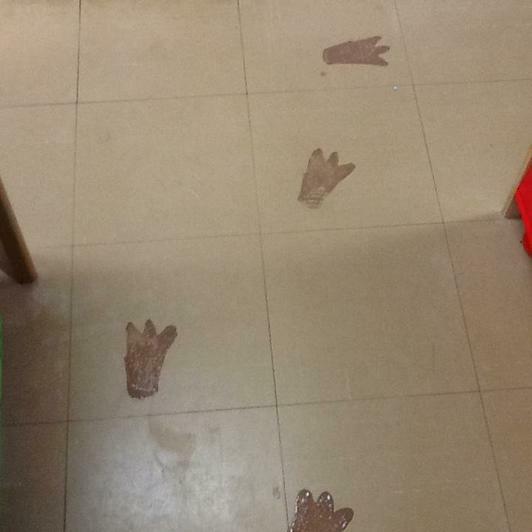 The next day when we arrived at school we found muddy footprints in our classroom on the floor and even on the top of a table! 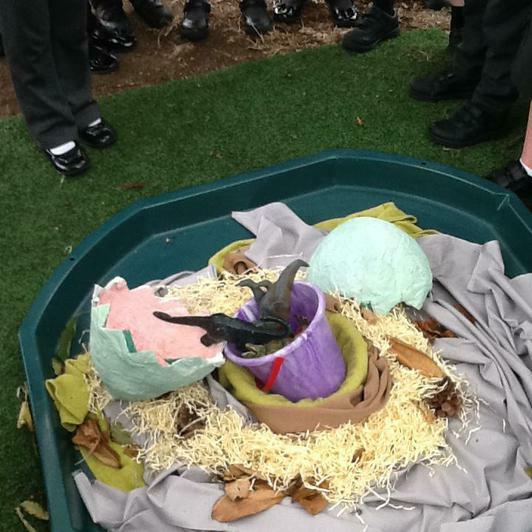 Then we noticed that the egg had hatched and inside were some dinosaurs. 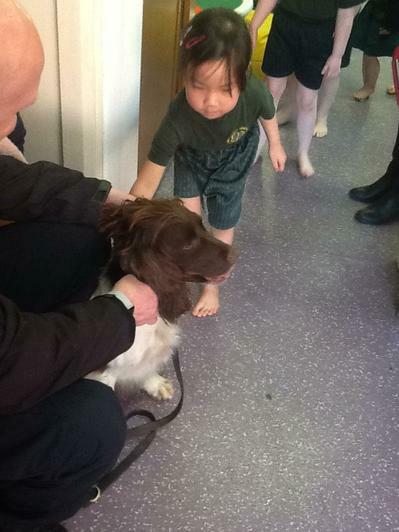 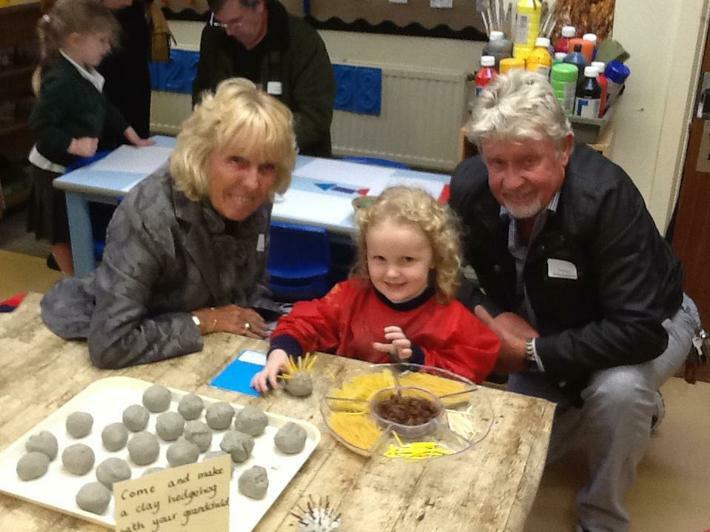 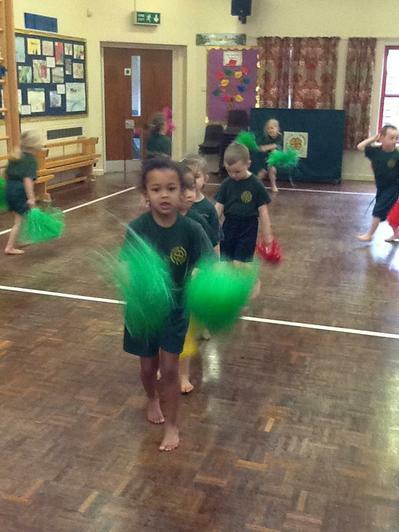 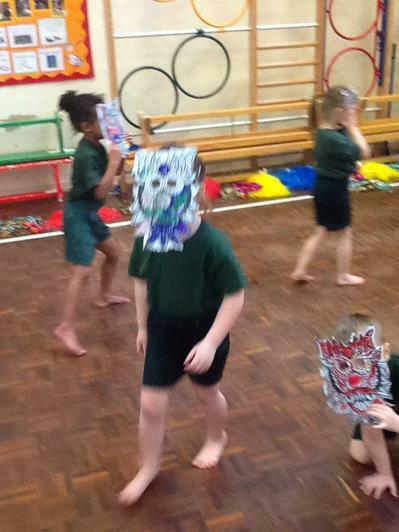 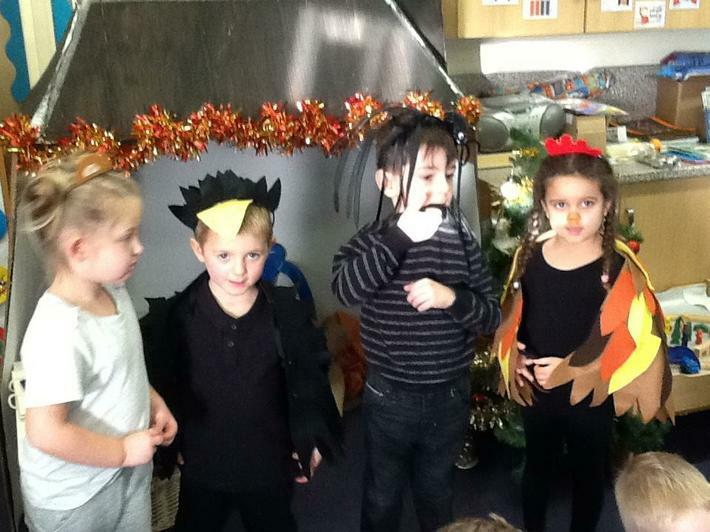 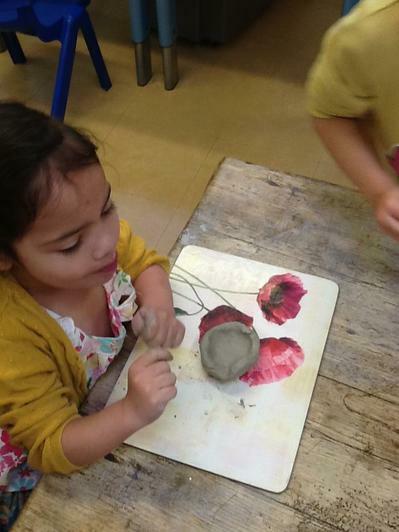 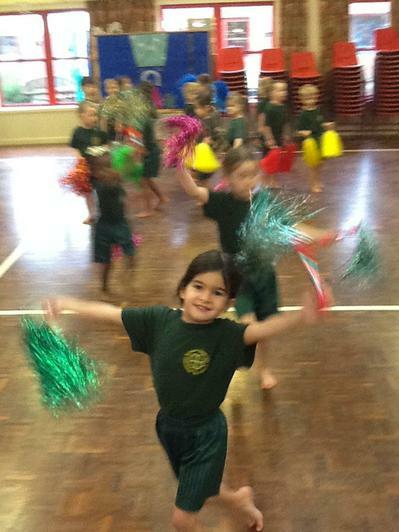 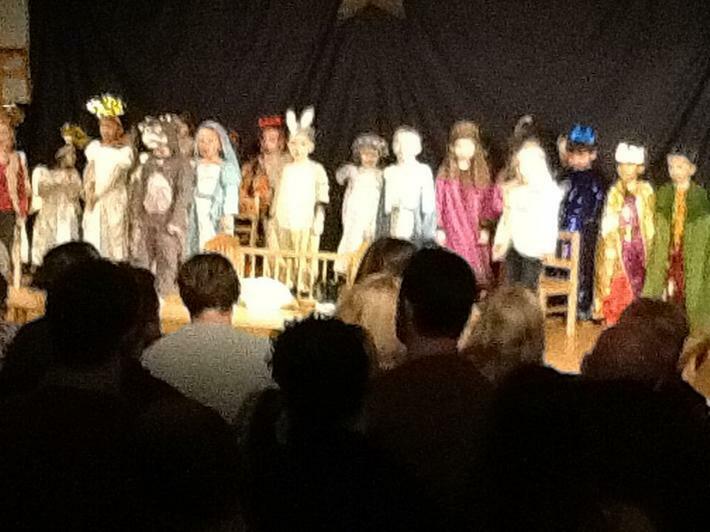 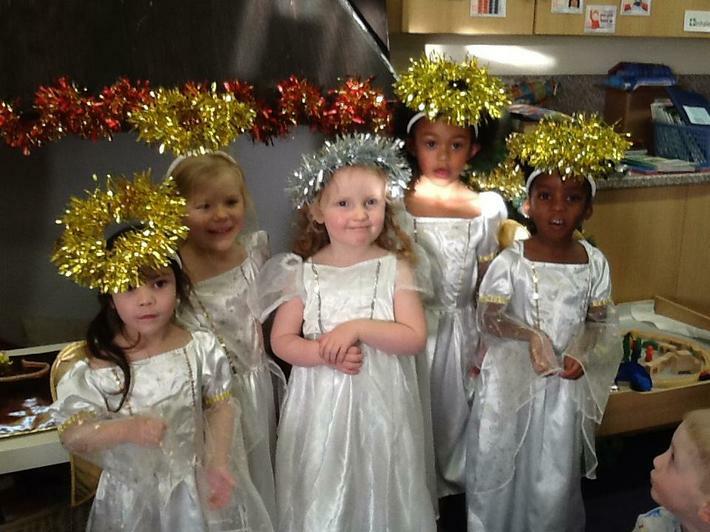 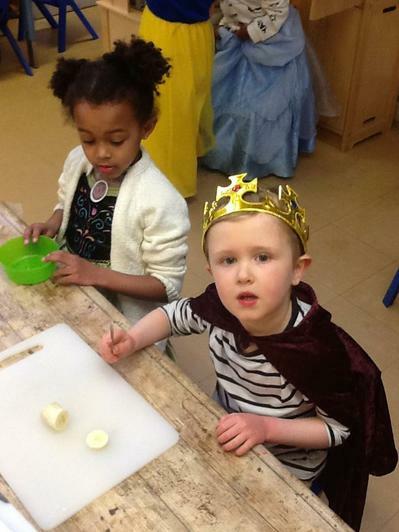 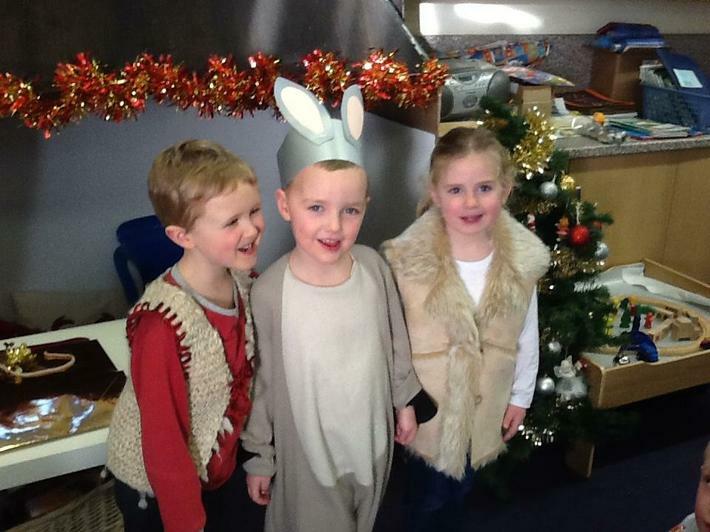 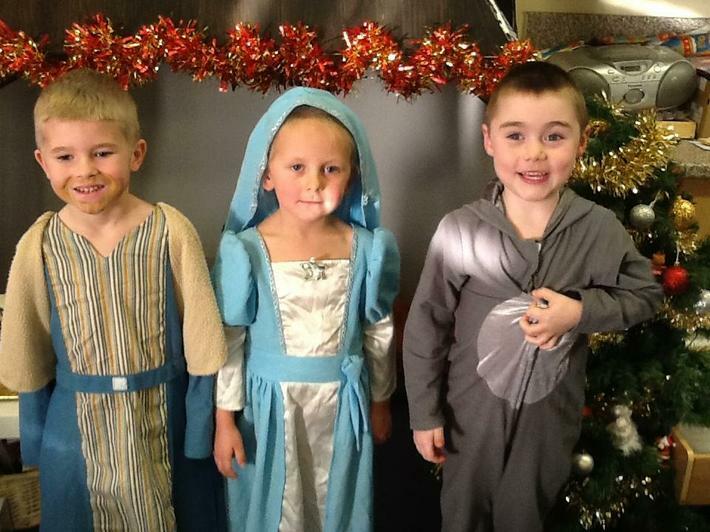 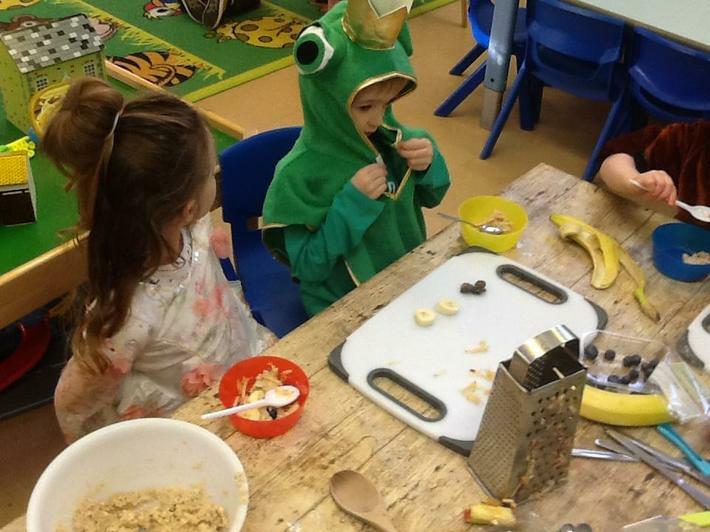 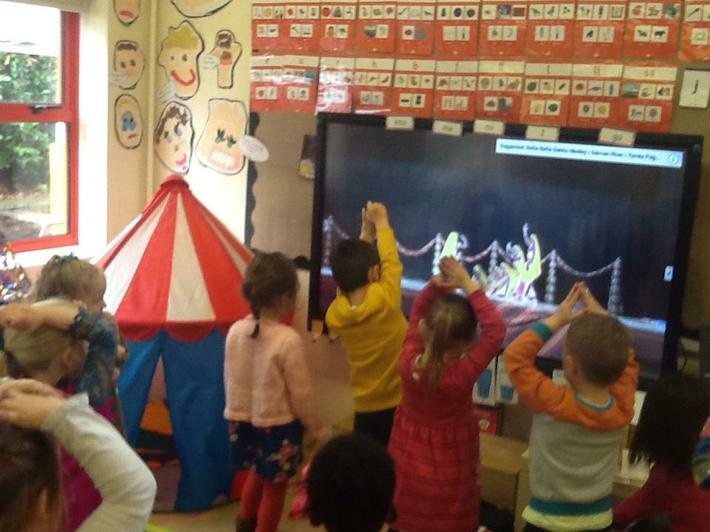 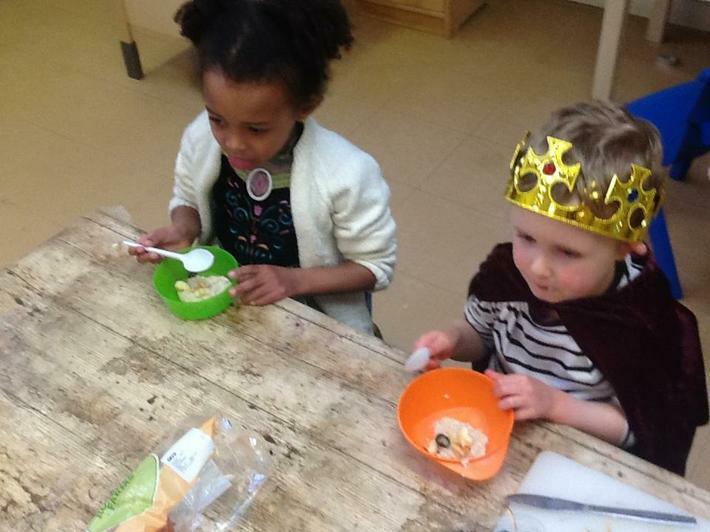 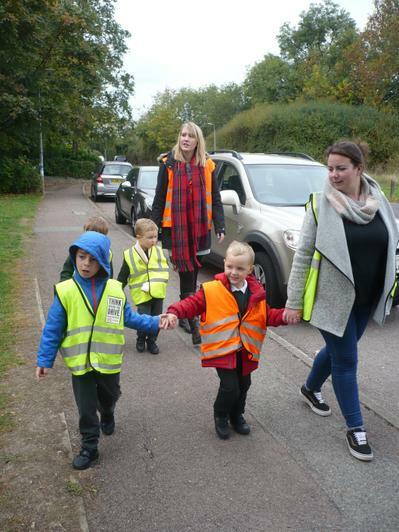 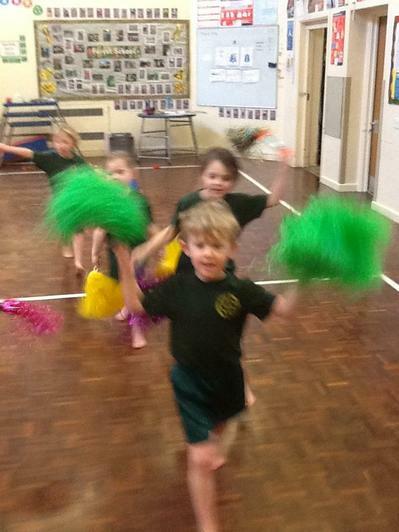 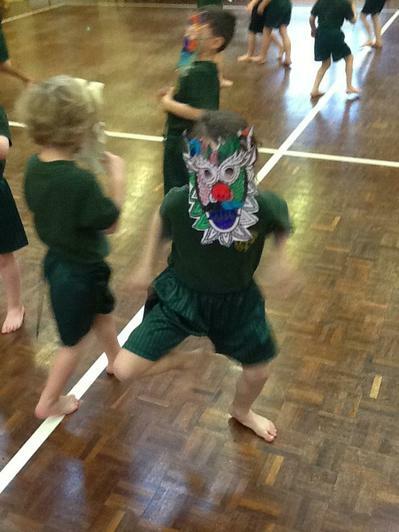 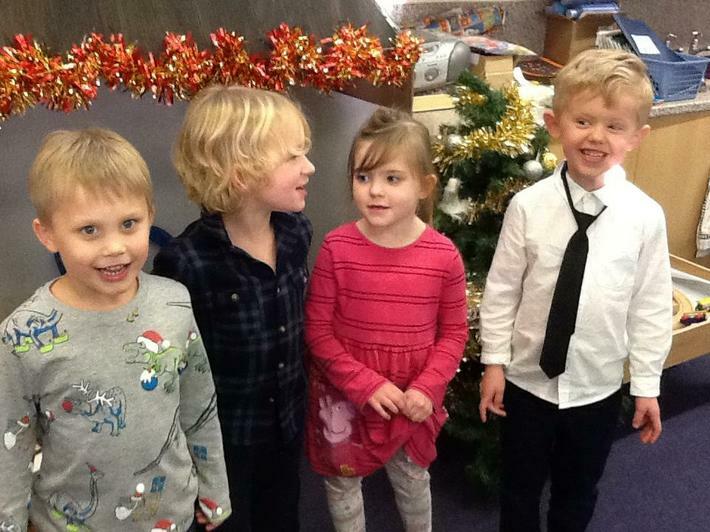 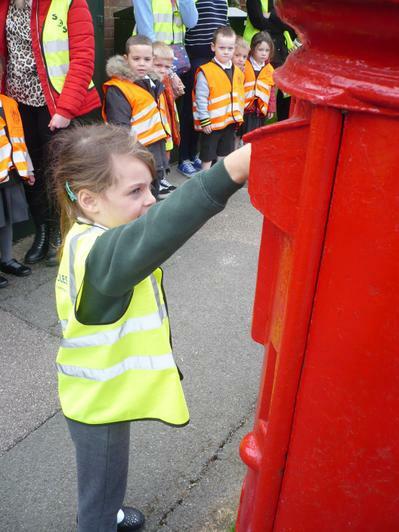 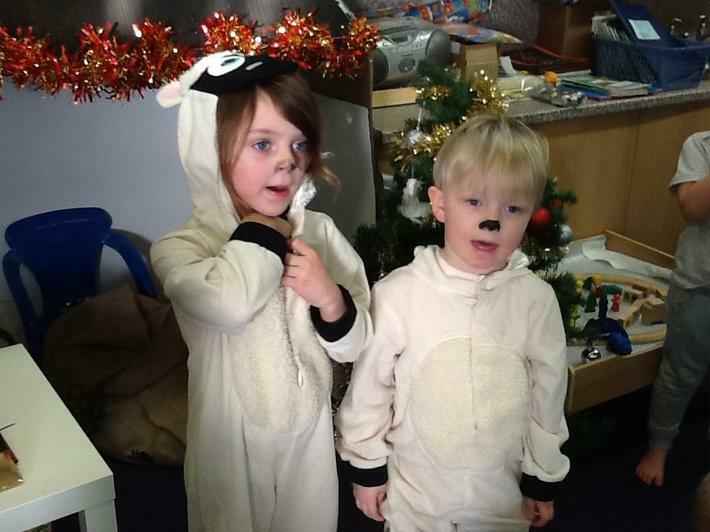 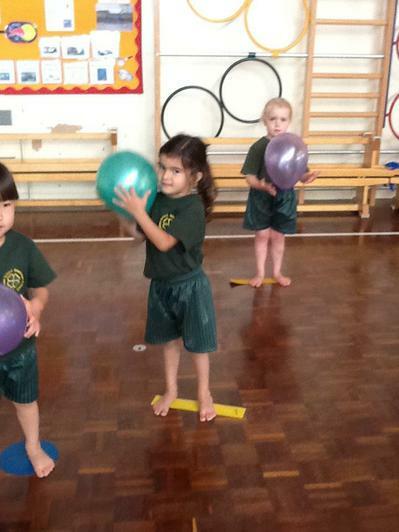 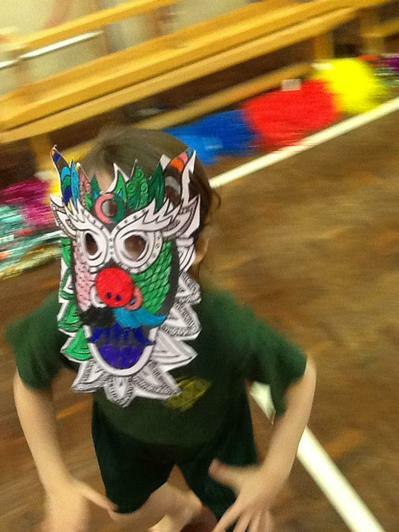 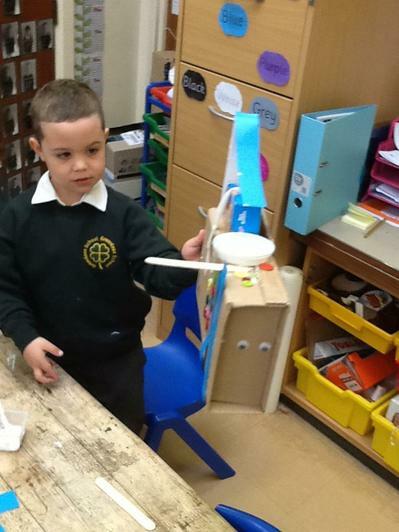 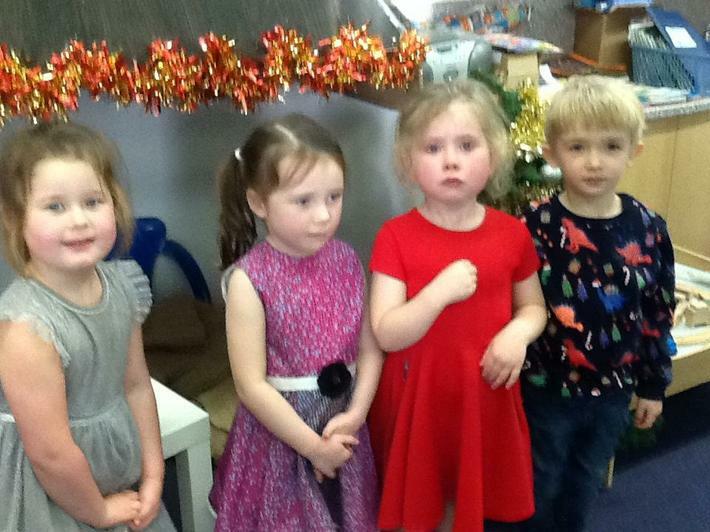 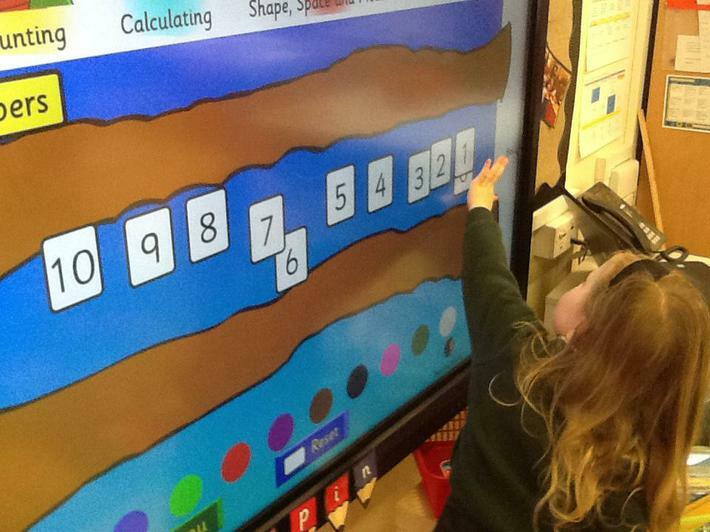 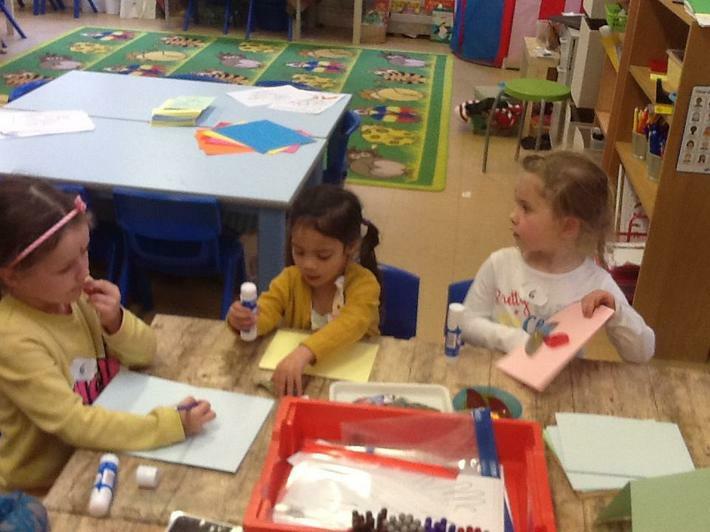 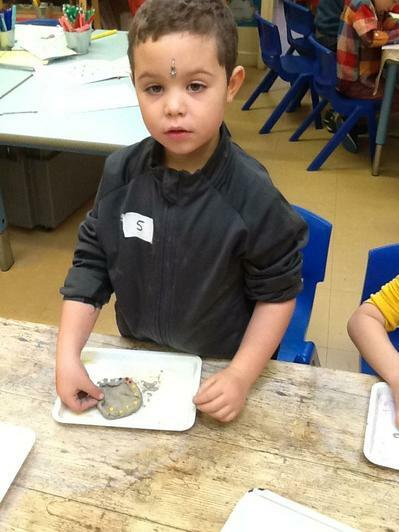 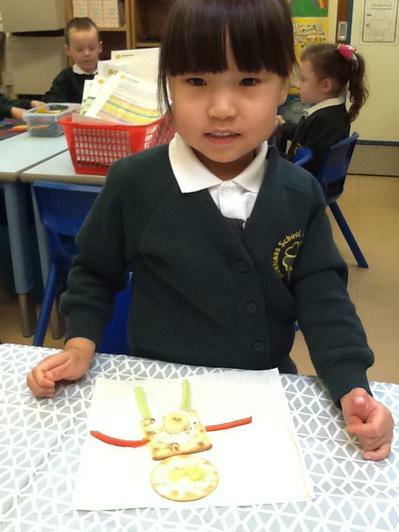 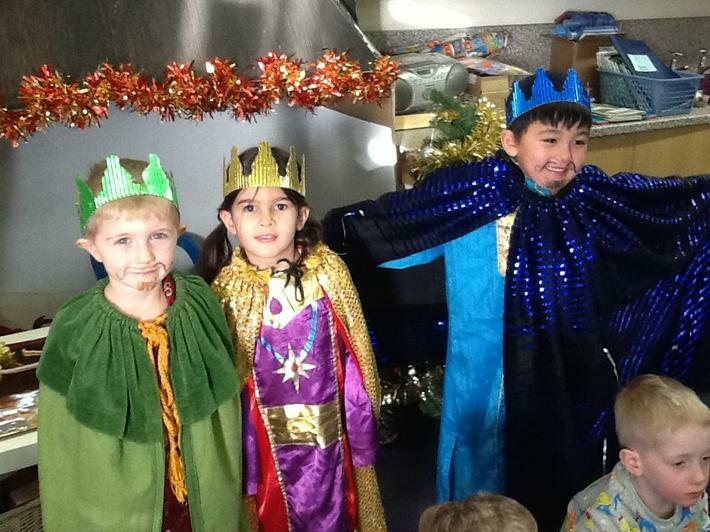 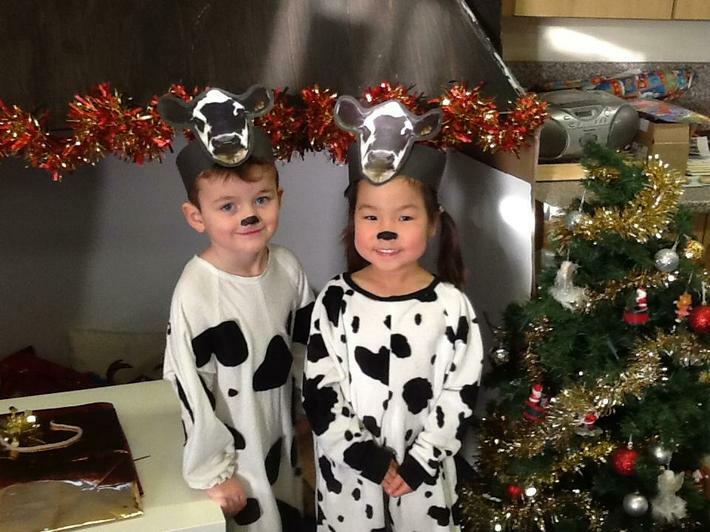 Have a look at the fun we have had in our first few weeks in Swans.